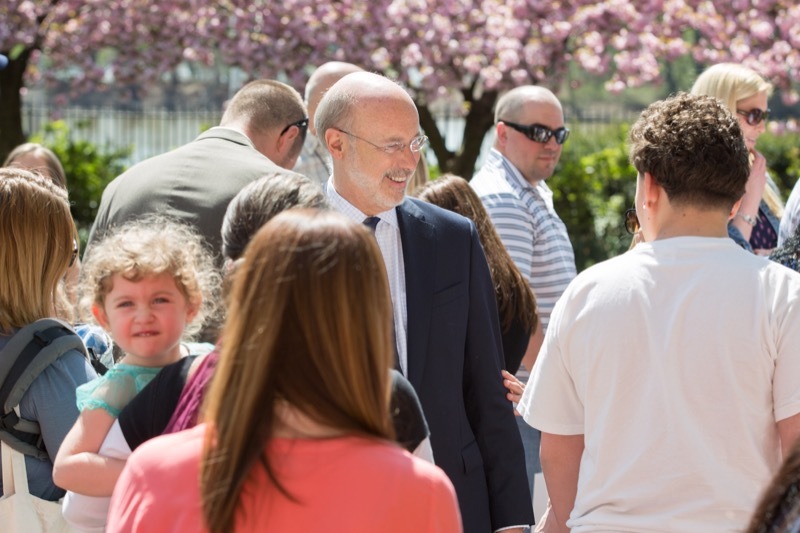 Today, Governor Wolf was joined by families, advocates, members of his administration, and a group of lawmakers to celebrate the one-year anniversary of the signing of Senate Bill 3, legalizing medical marijuana in Pennsylvania. 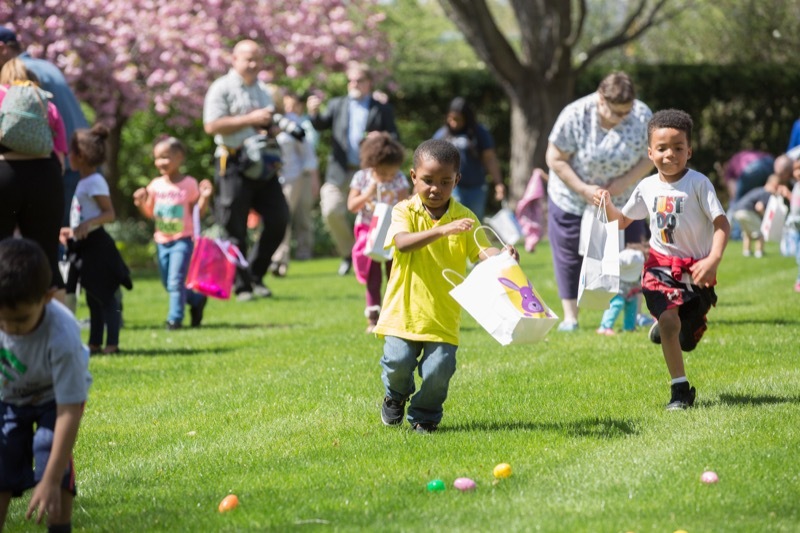 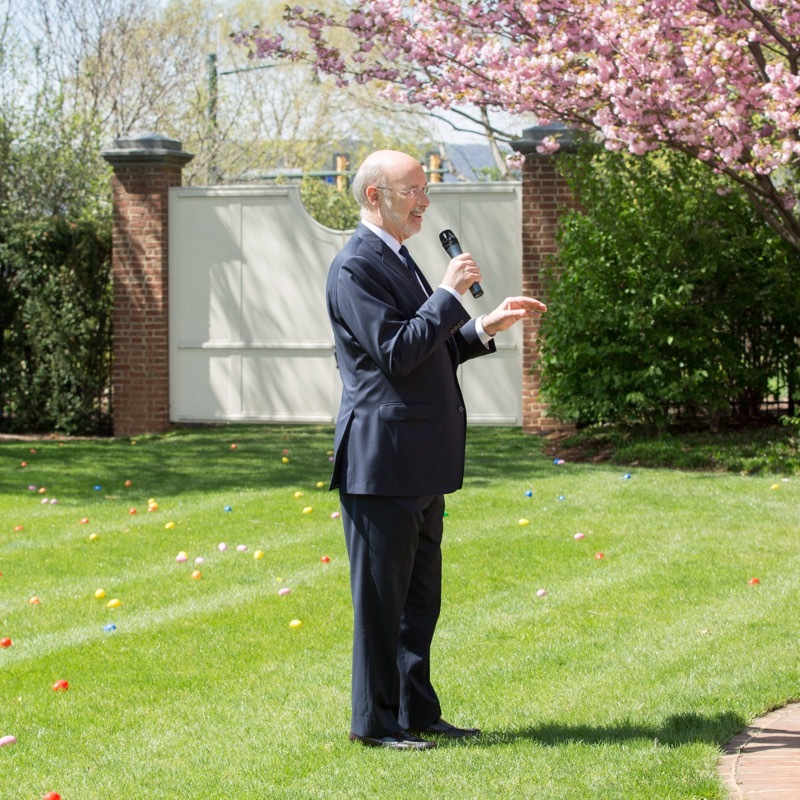 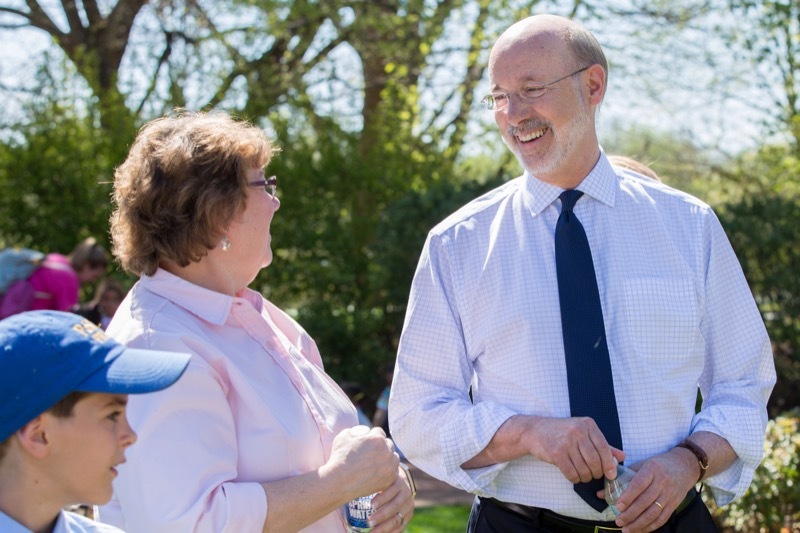 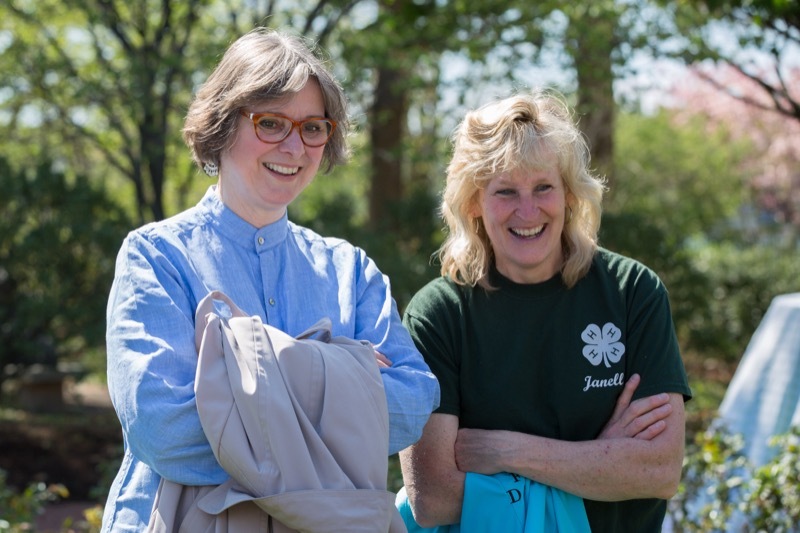 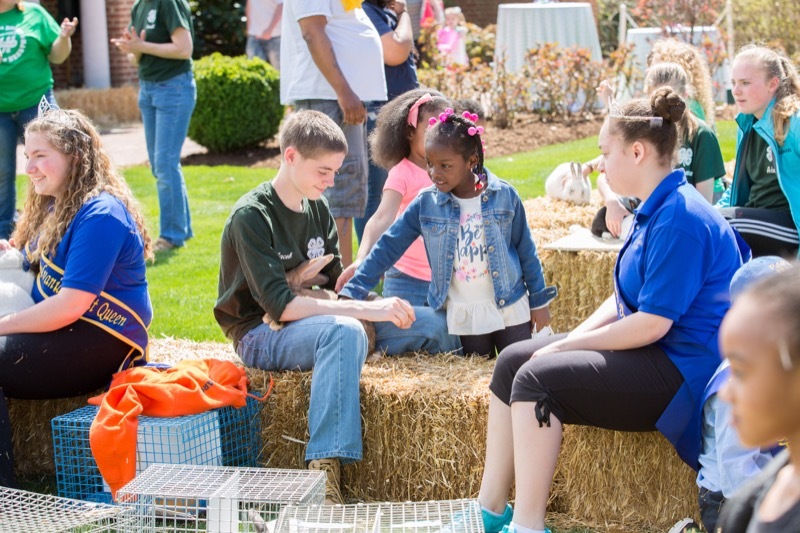 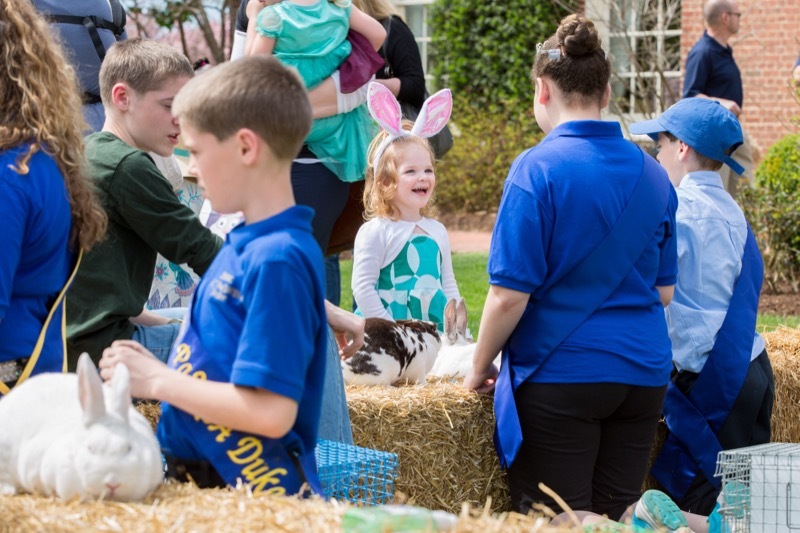 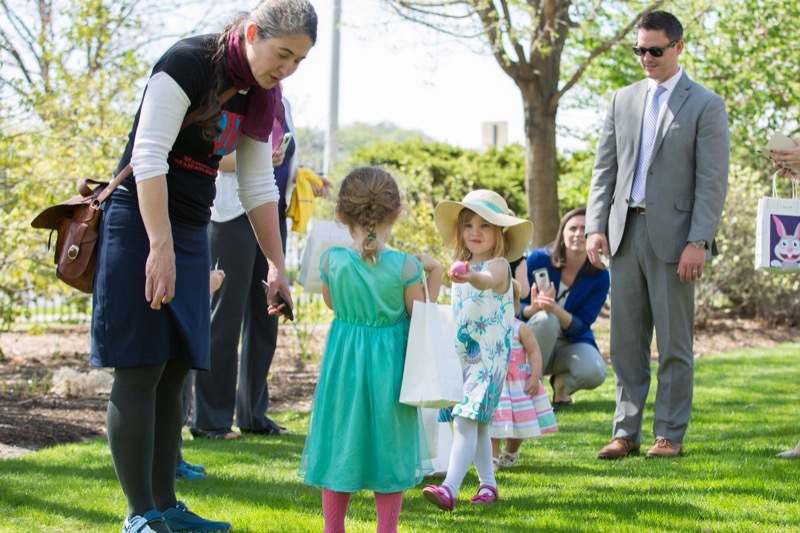 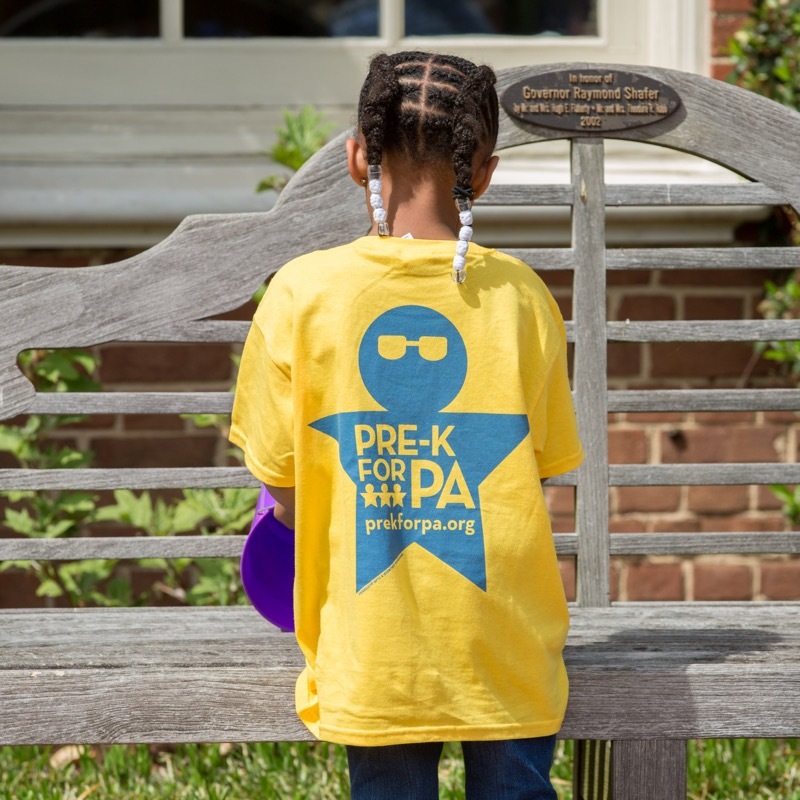 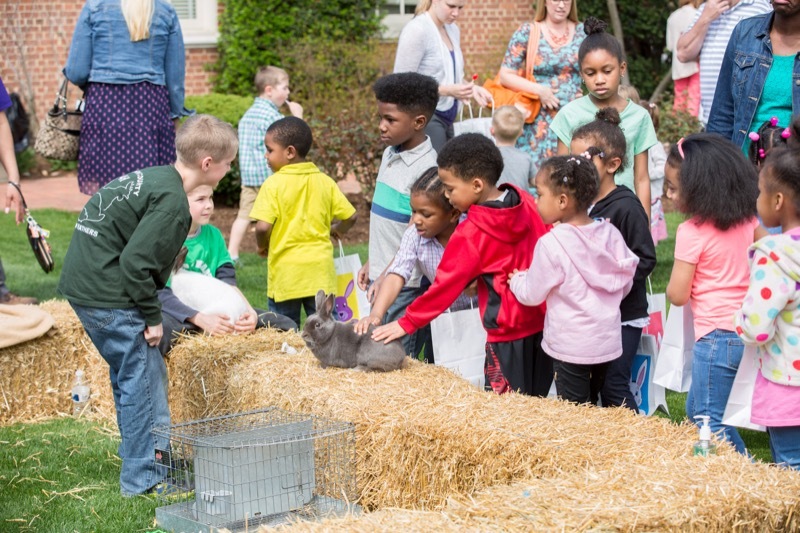 Governor Tom Wolf and First Lady Frances Wolf were joined today by preschoolers from Harrisburg-area pre-kindergarten centers and members of the Pre-K for PA campaign for an Easter Egg Hunt at the Governor's Residence in Harrisburg. 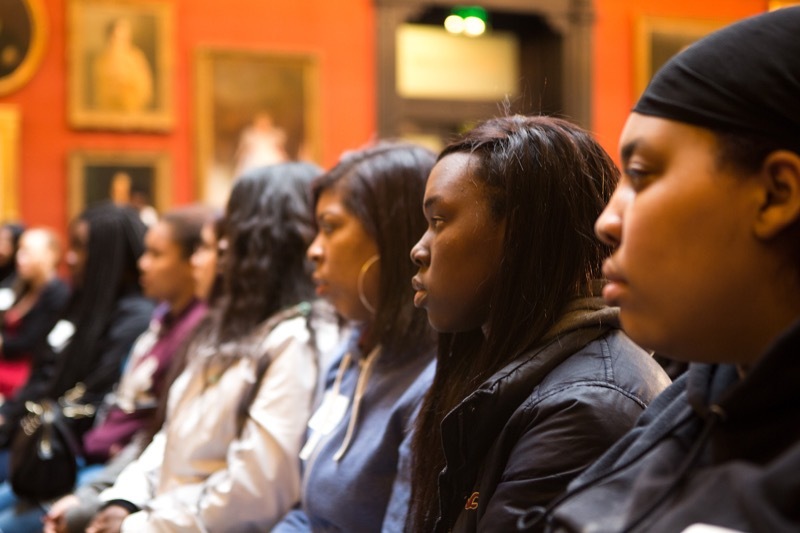 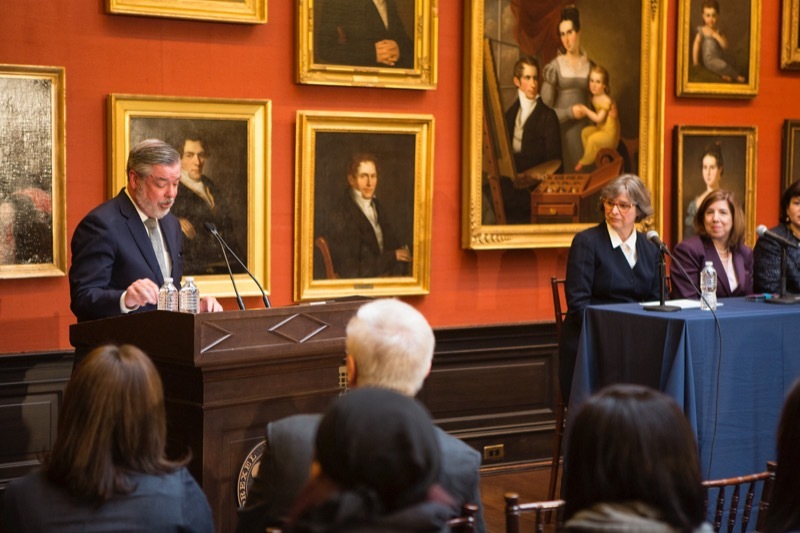 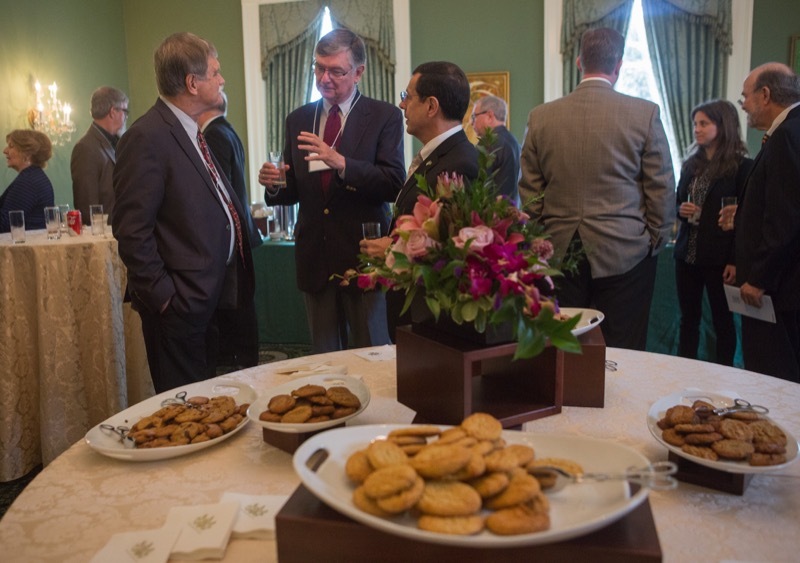 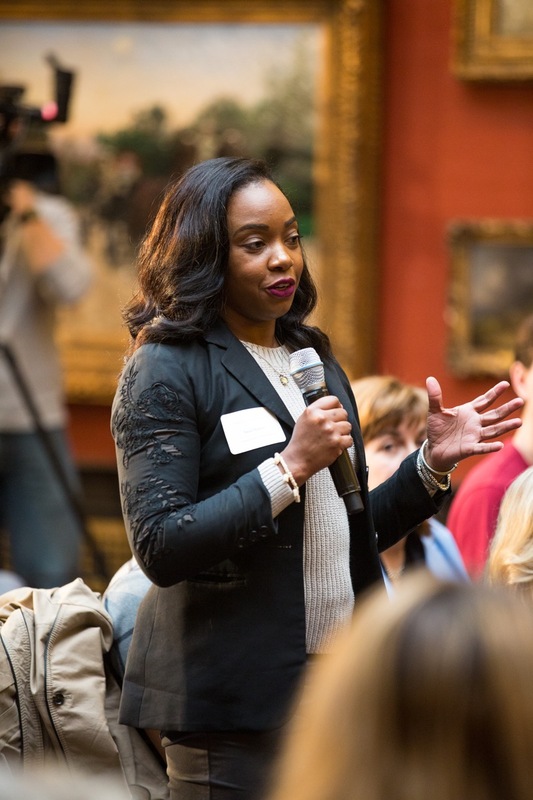 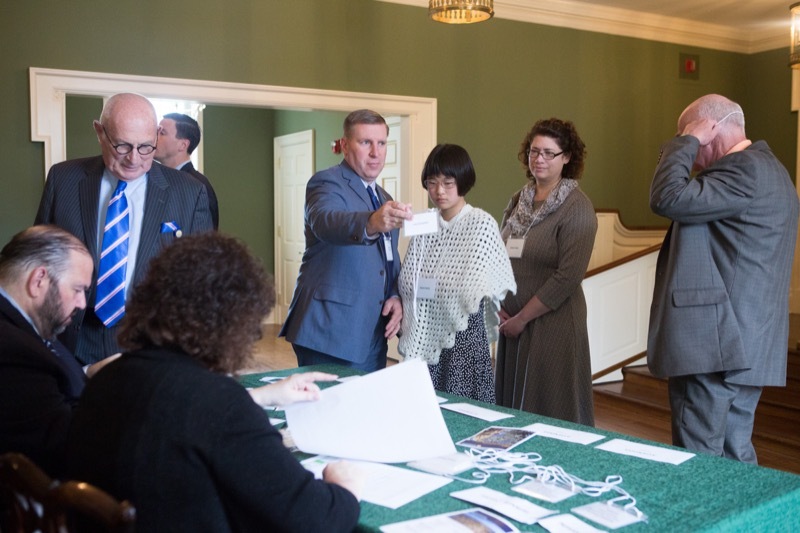 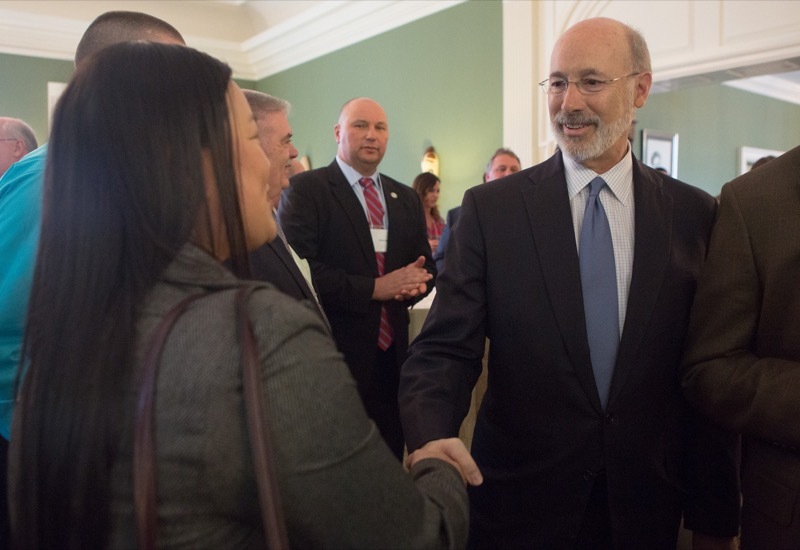 During the event, the Governor reiterated his commitment to investing in high-quality early childhood education. 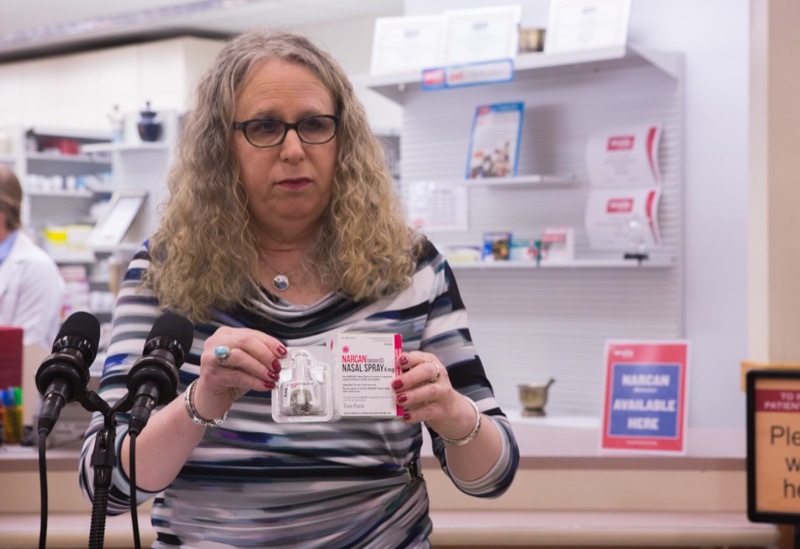 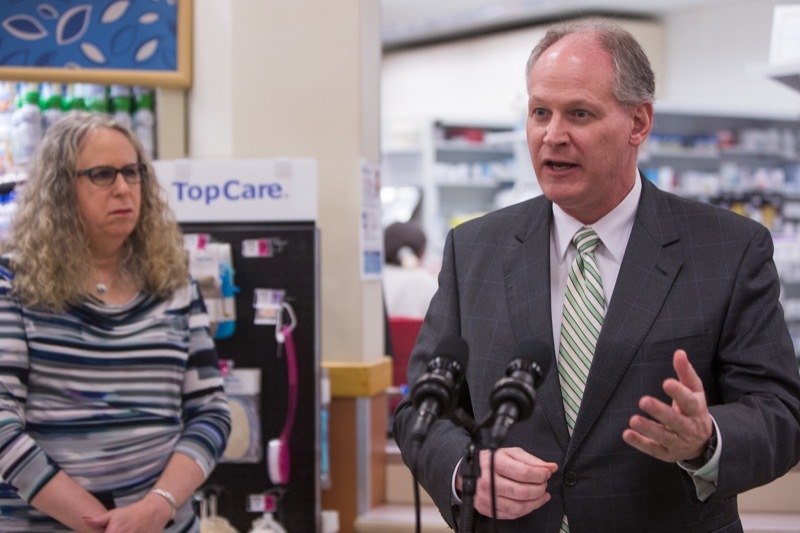 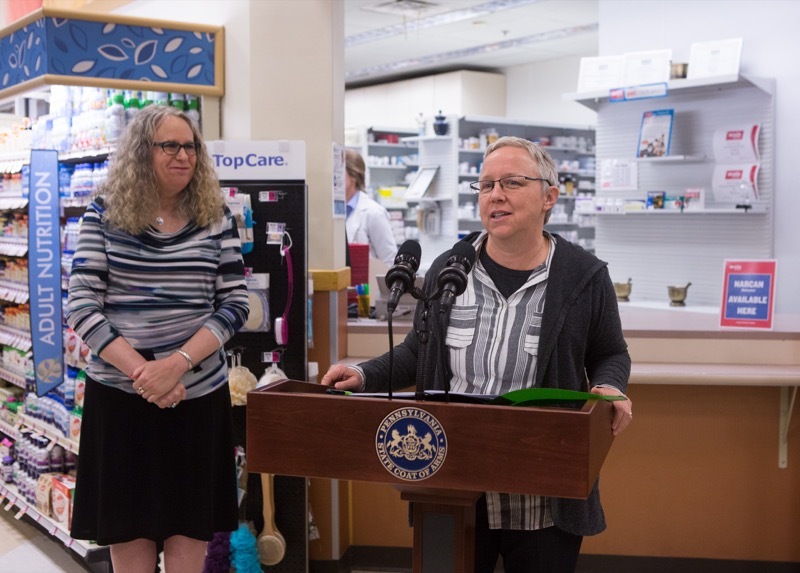 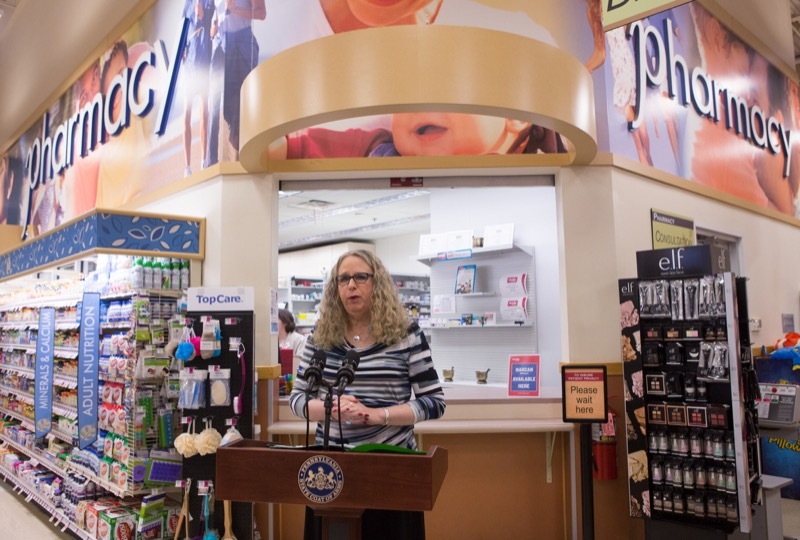 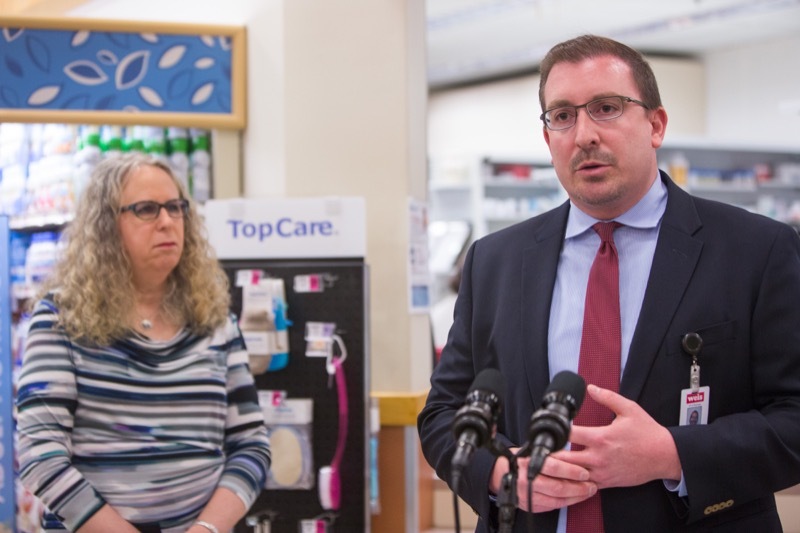 Today, Physician General Dr. Rachel Levine visited Weis Markets in Mifflintown, Juniata County, to discuss the opioid epidemic's effects on agricultural and rural communities and underscore the Wolf Administration's efforts in fighting this devastating public health crisis in Pennsylvania. 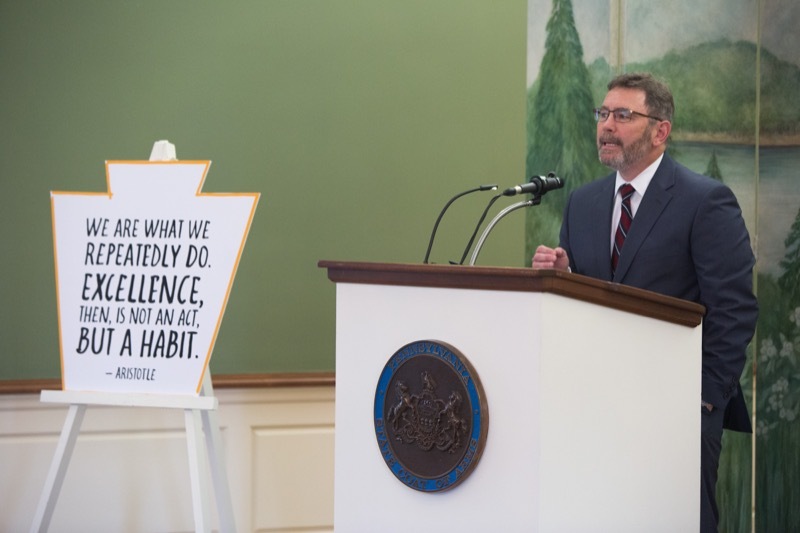 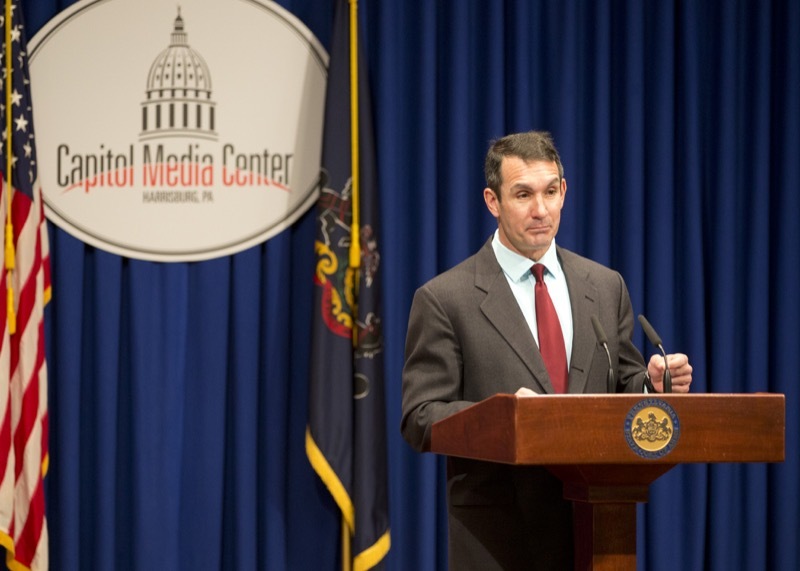 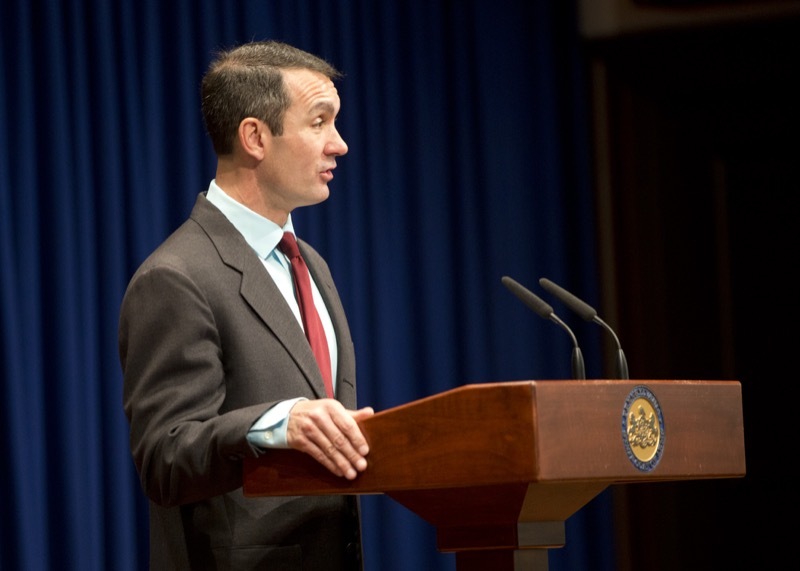 Auditor General Eugene DePasquale said today he is offering his department's services to leaders of the Senate and House to help increase transparency and openness in light of the recent limited audit revealing a surplus of $118.4 million in legislative accounts. 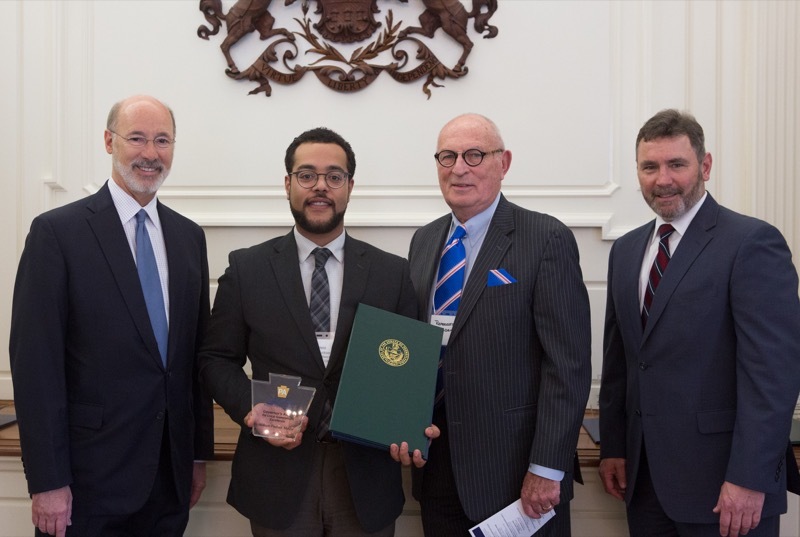 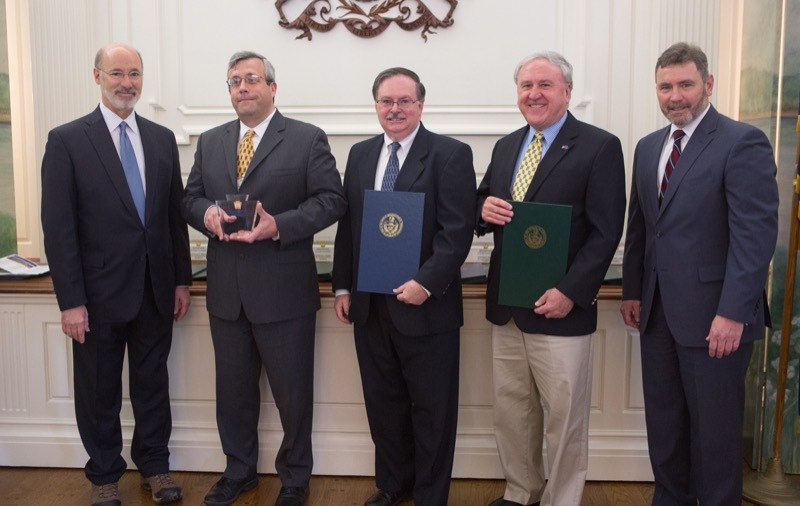 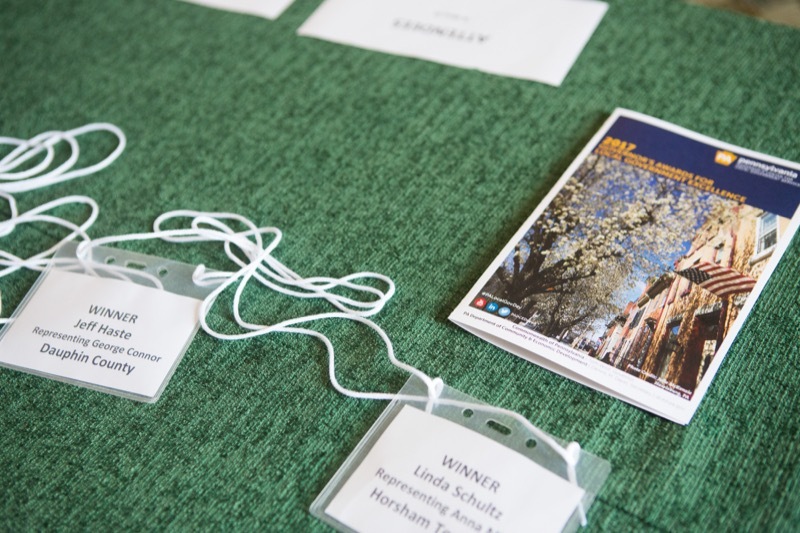 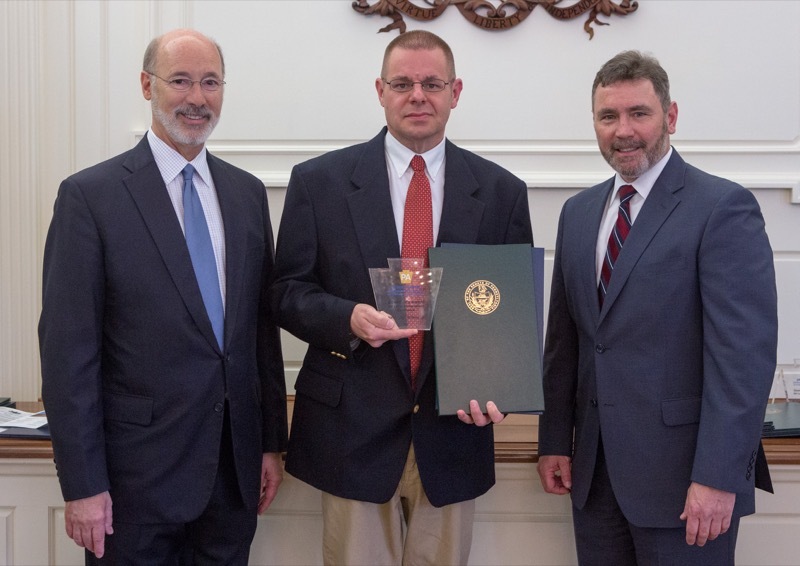 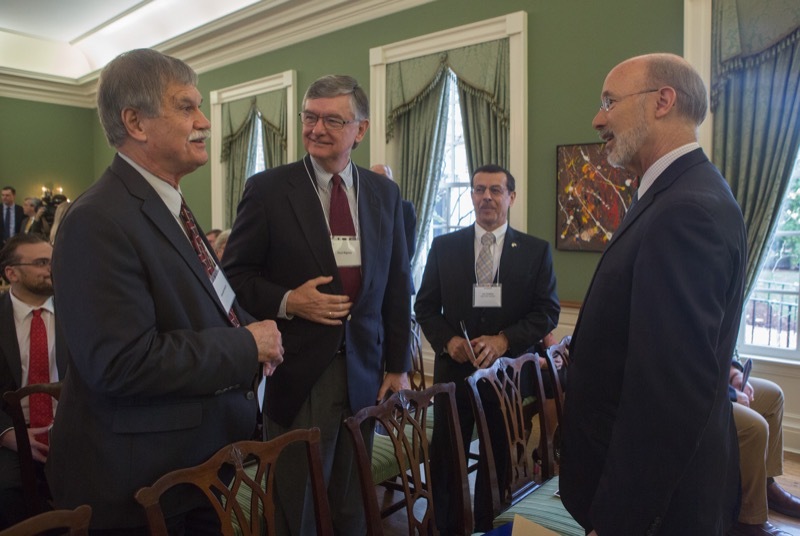 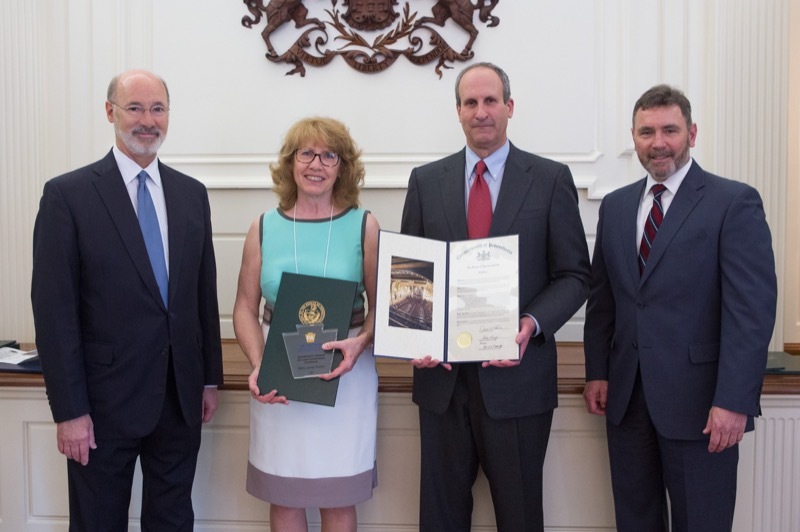 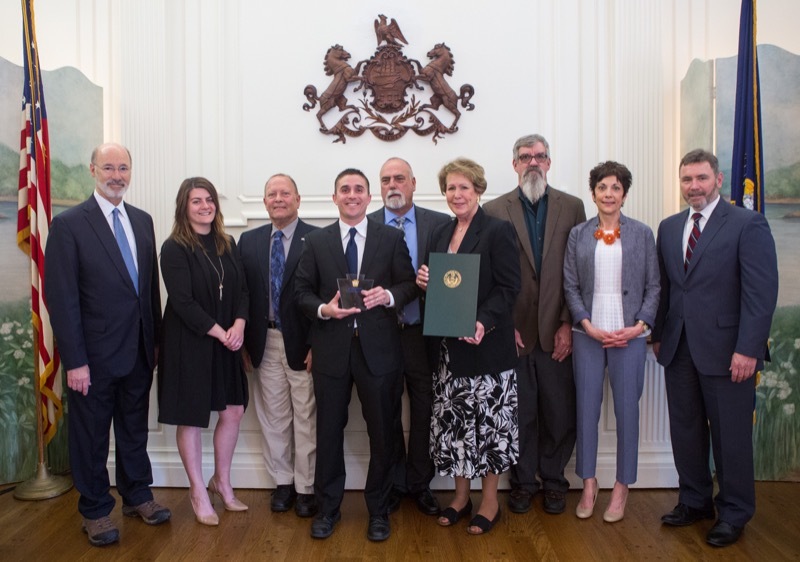 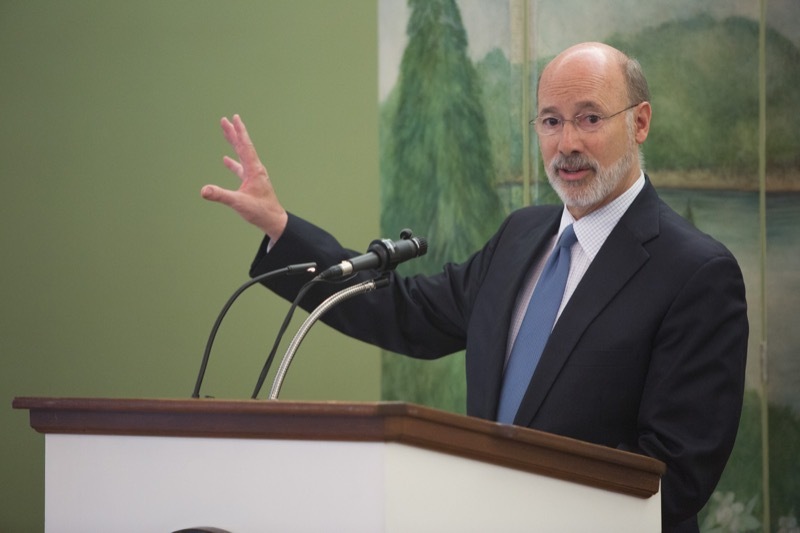 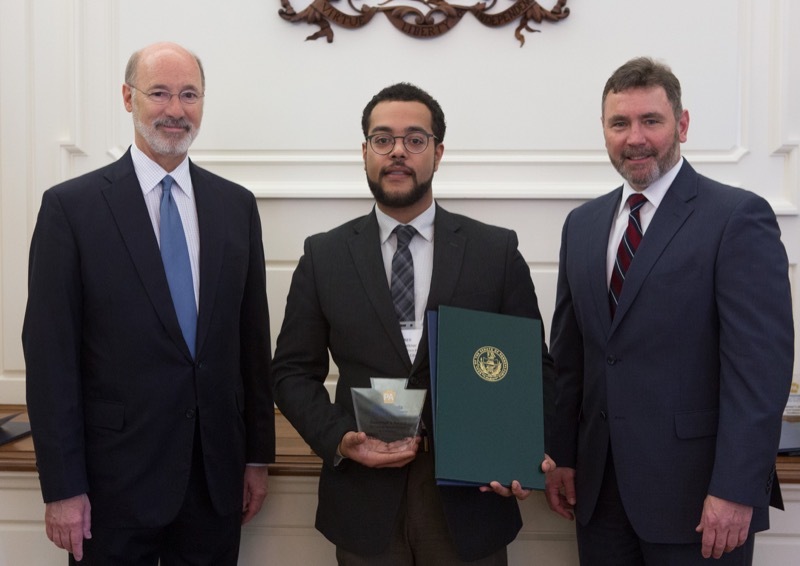 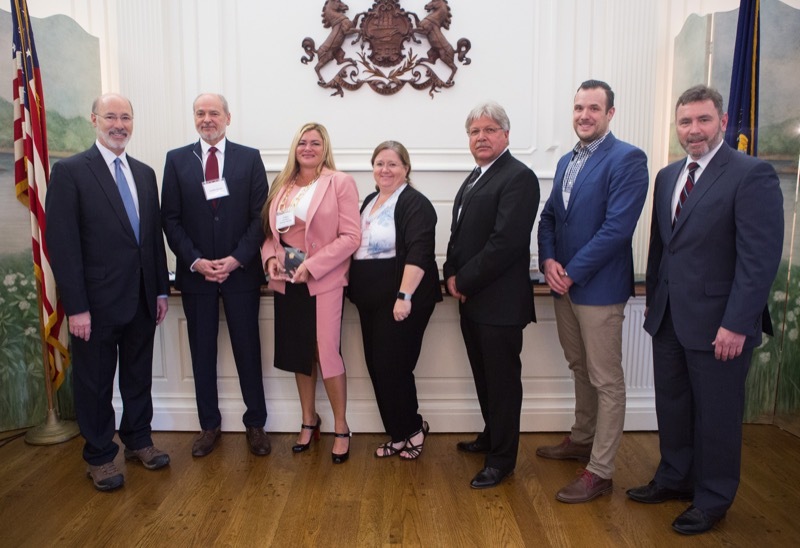 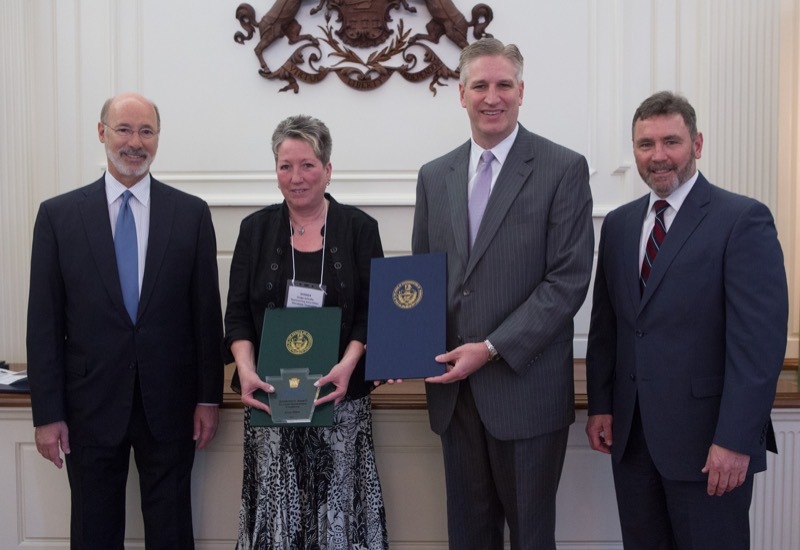 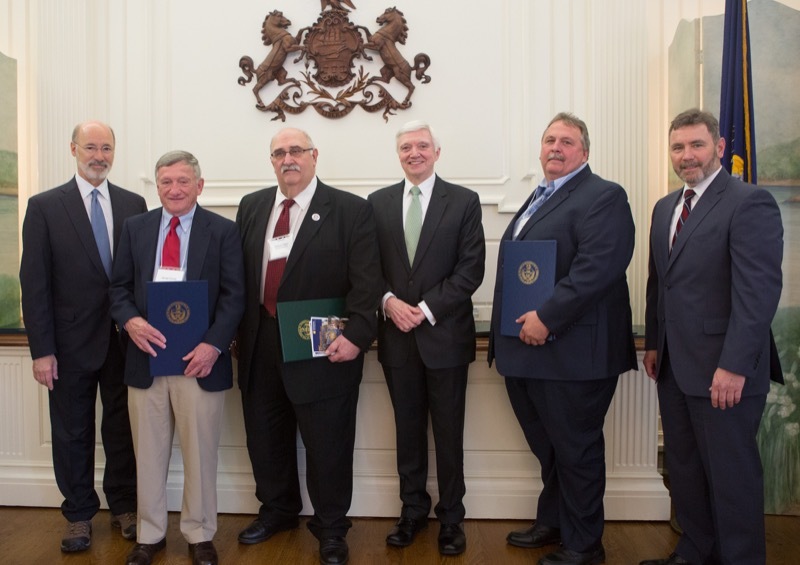 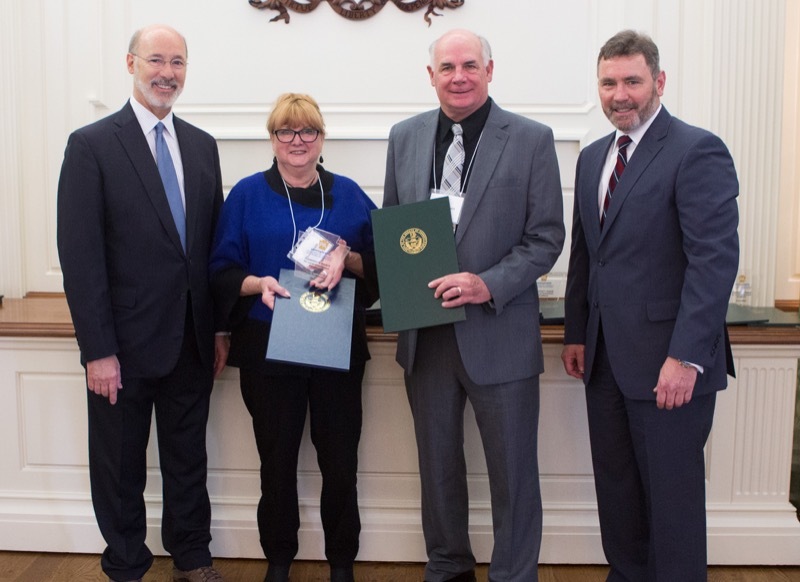 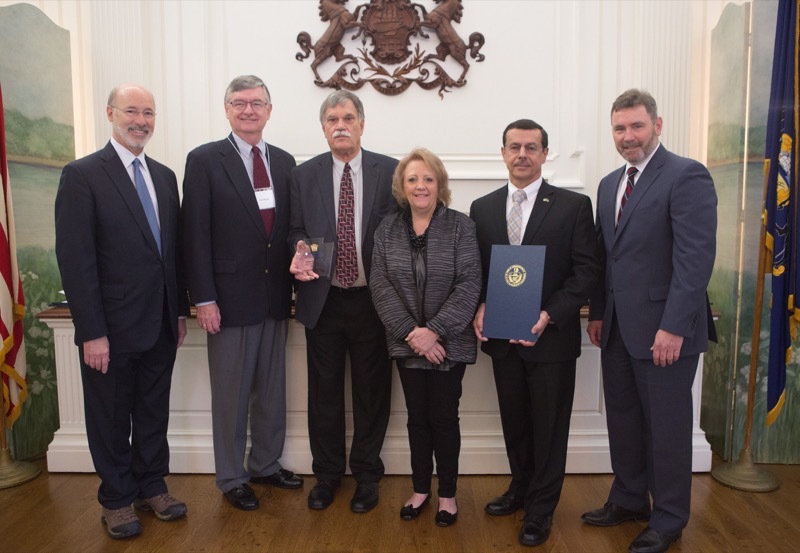 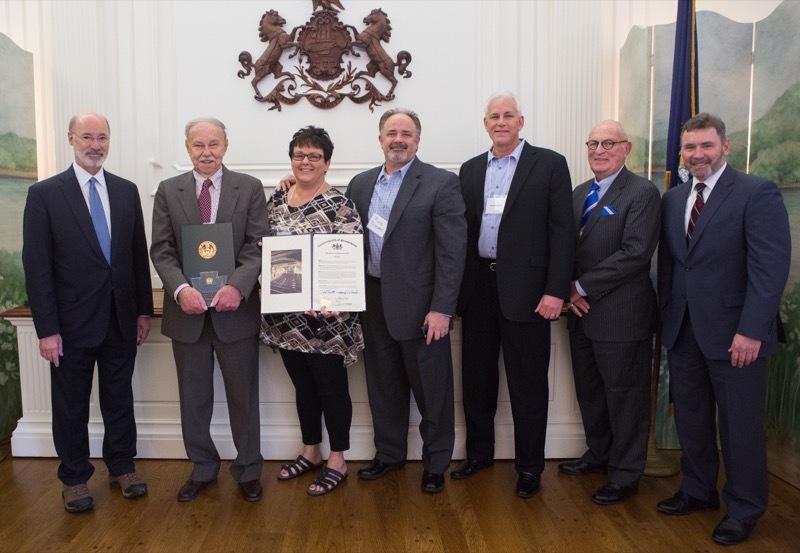 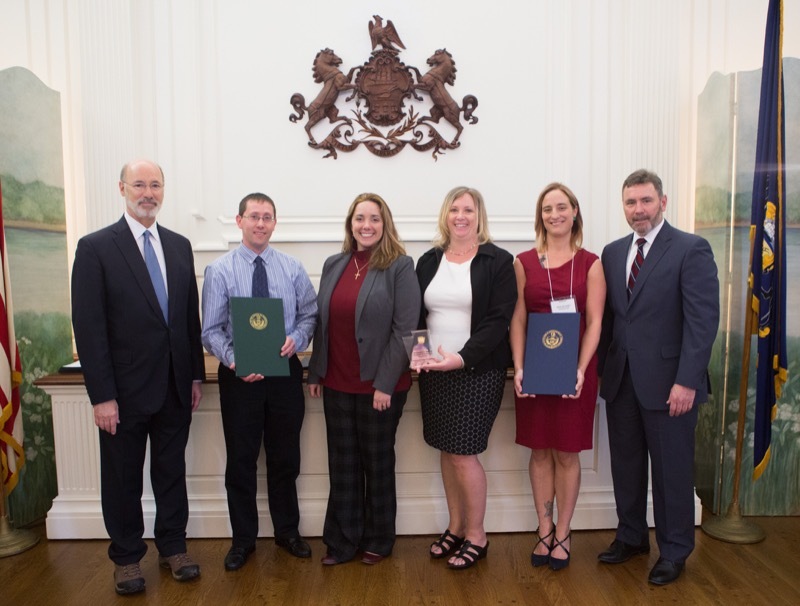 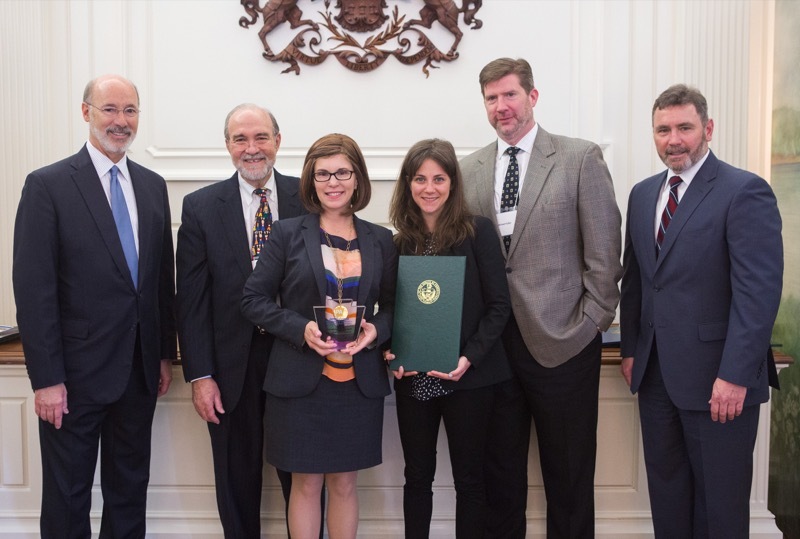 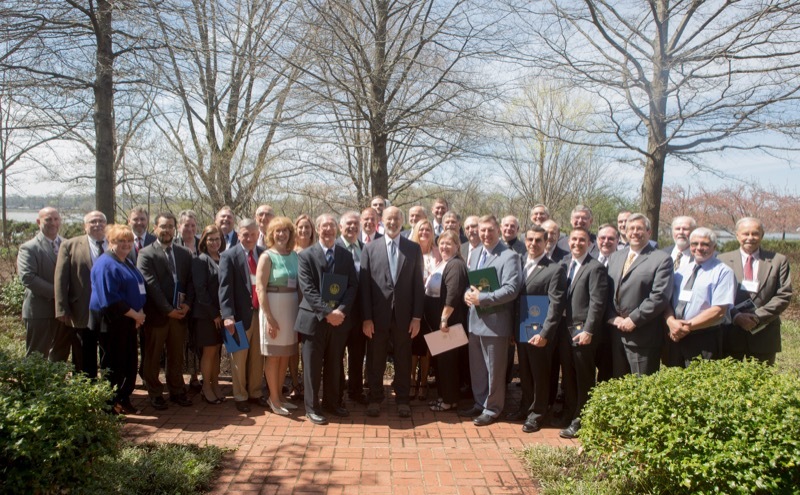 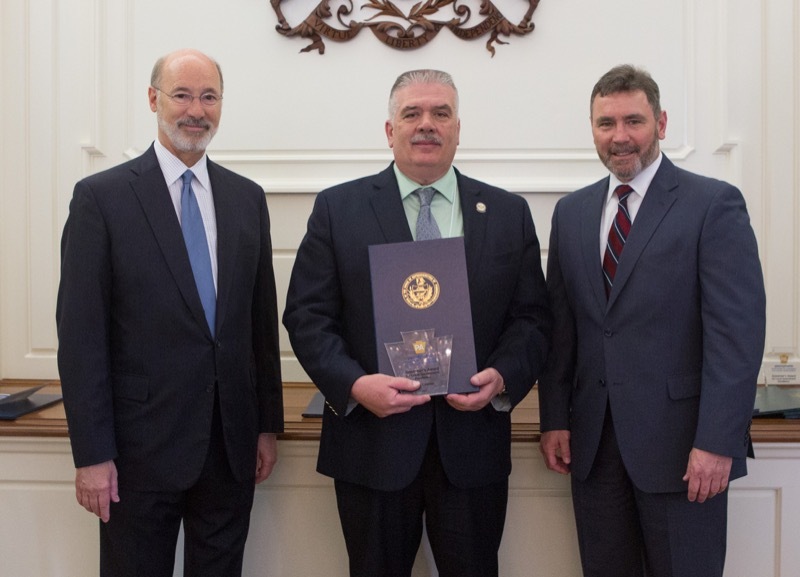 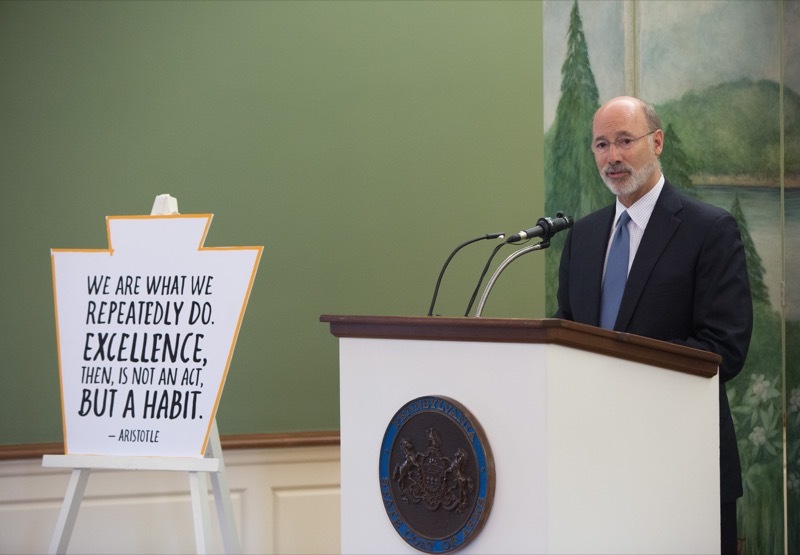 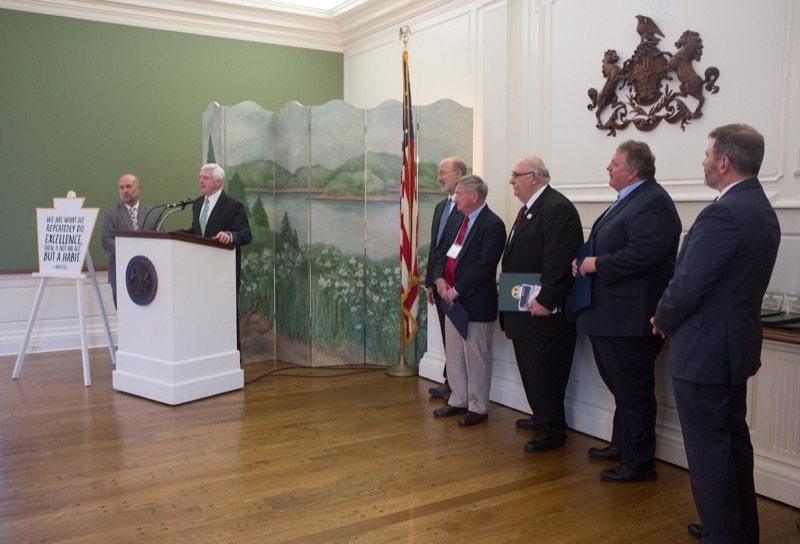 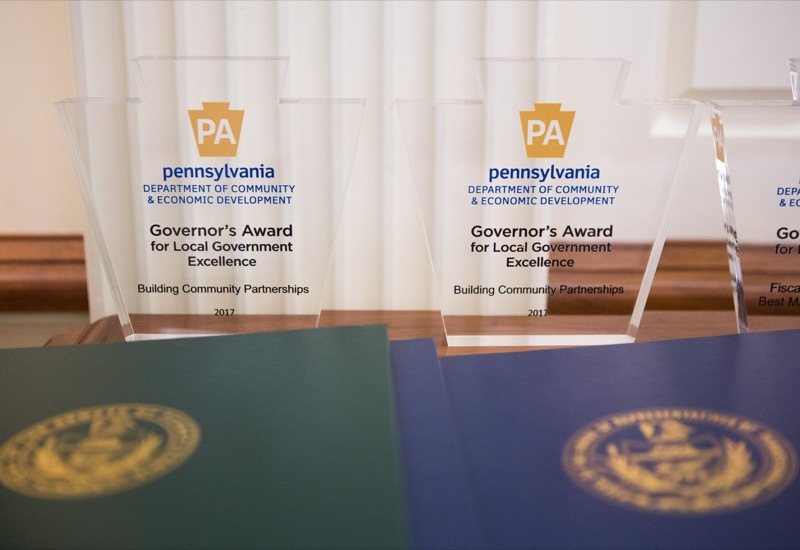 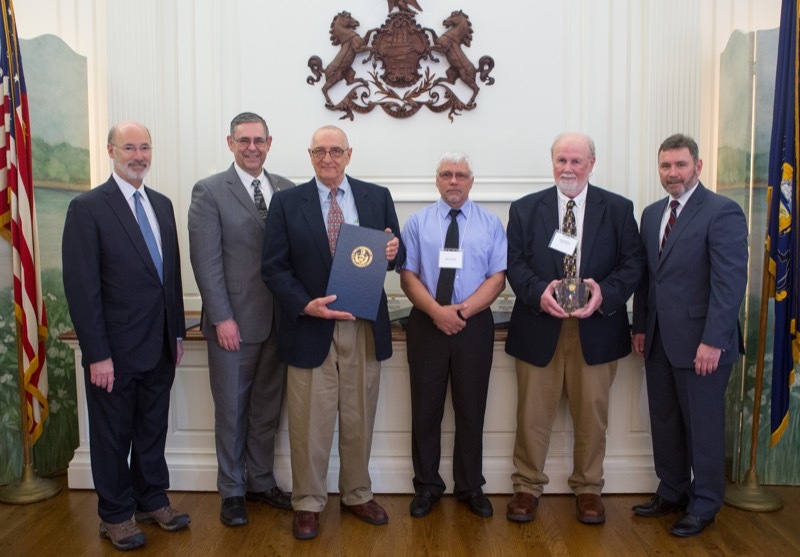 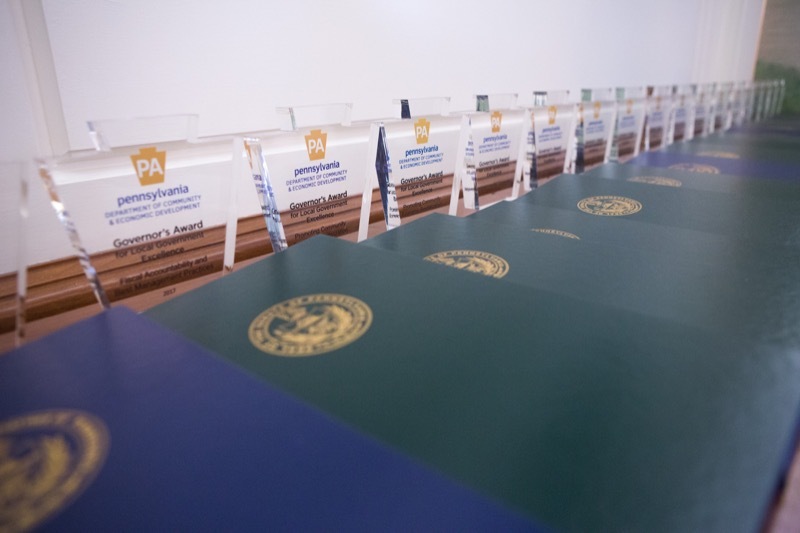 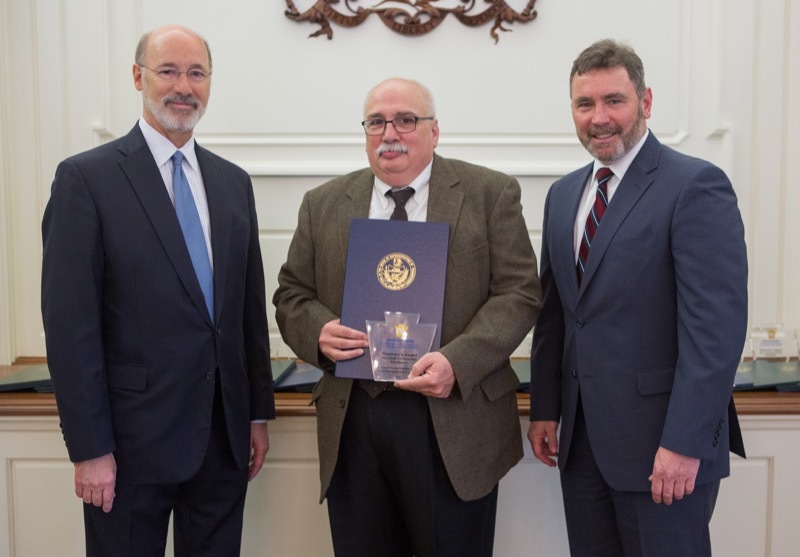 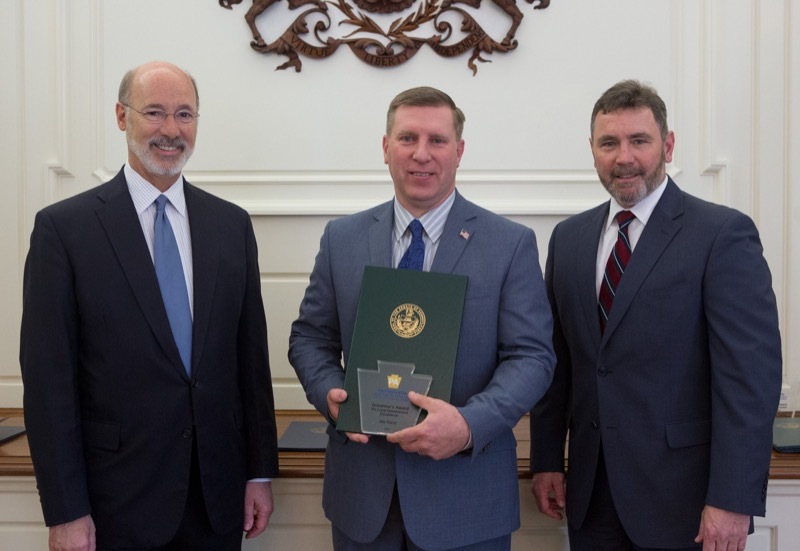 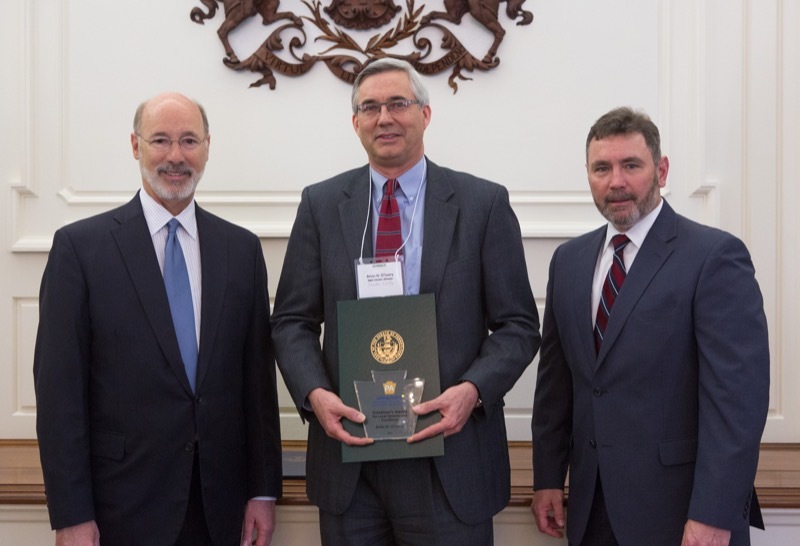 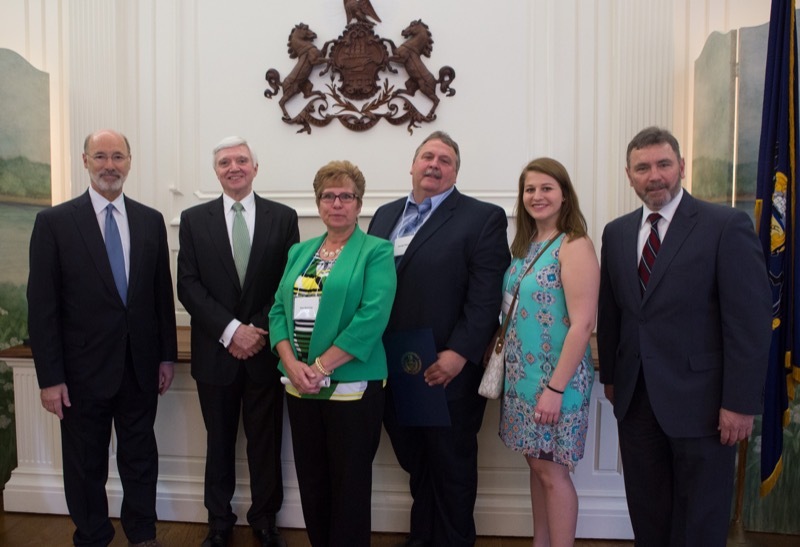 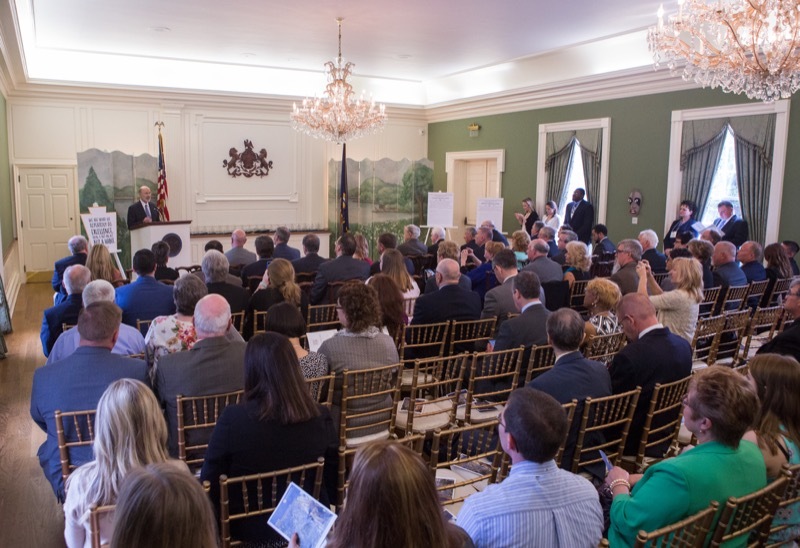 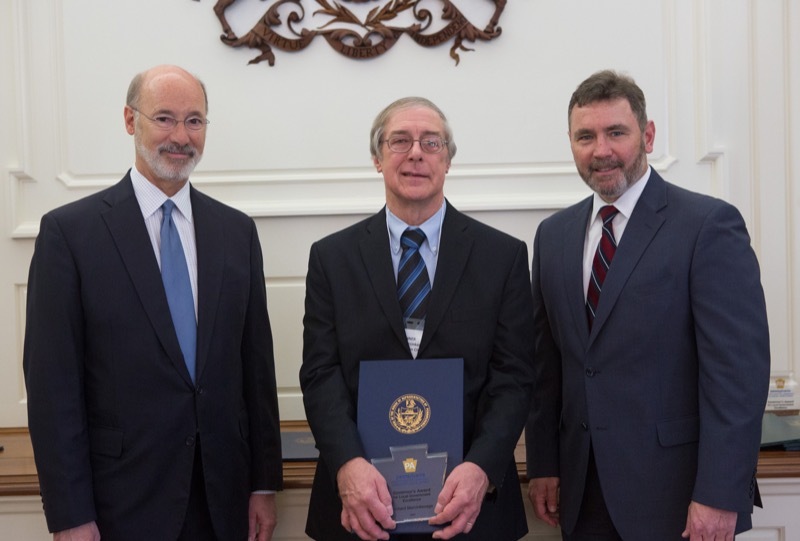 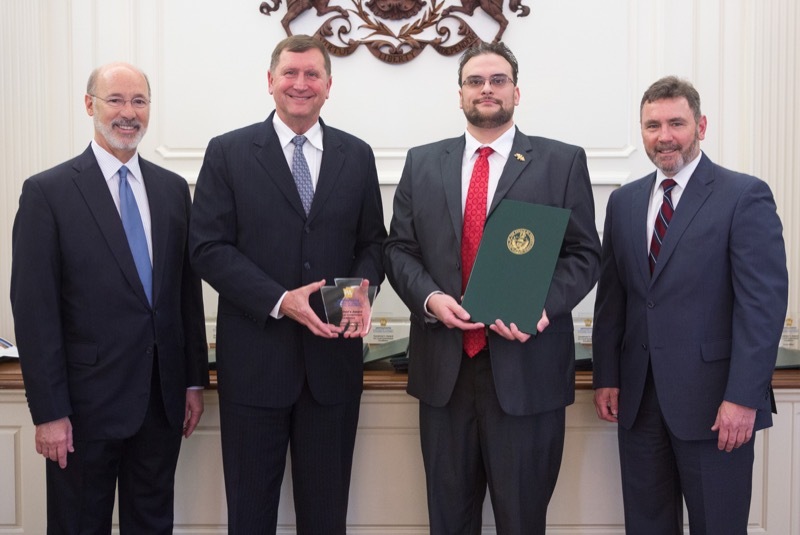 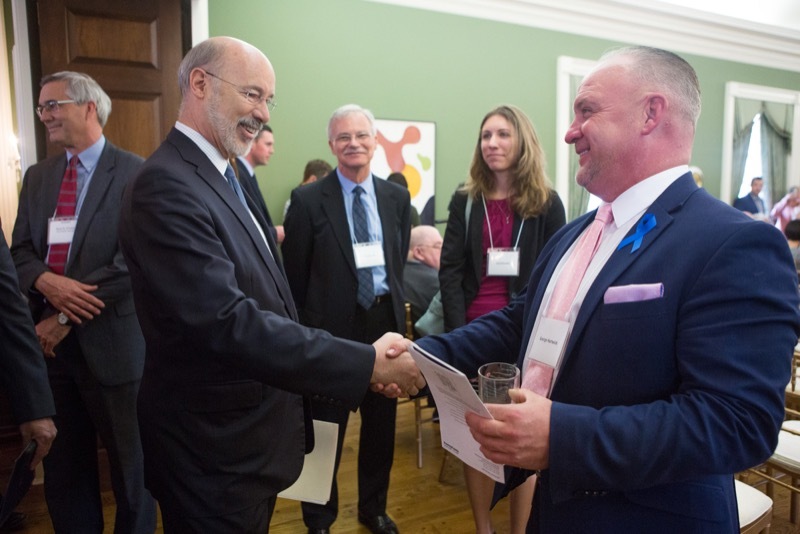 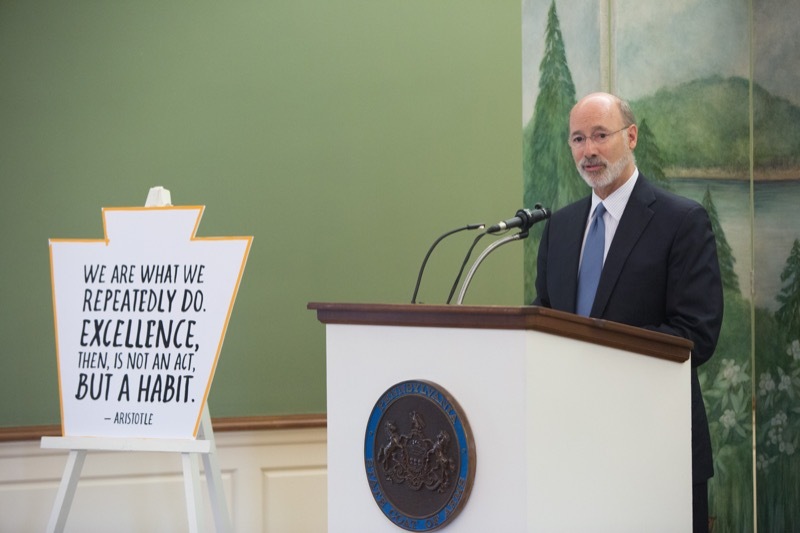 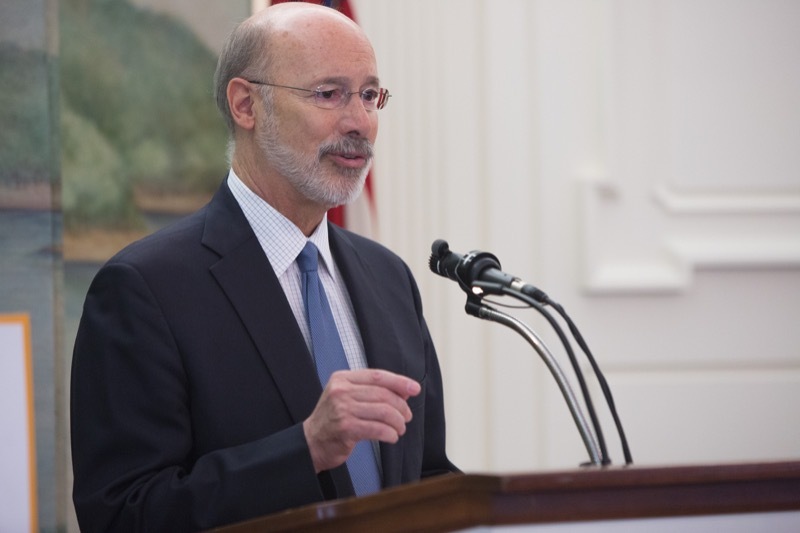 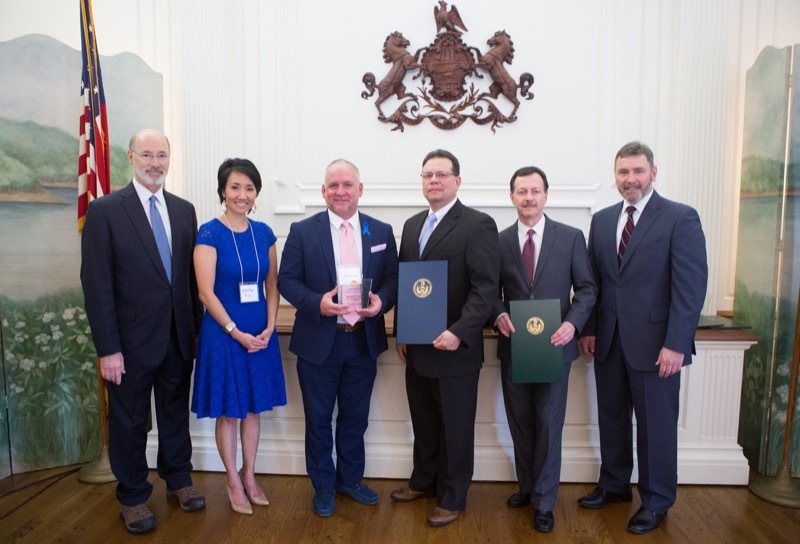 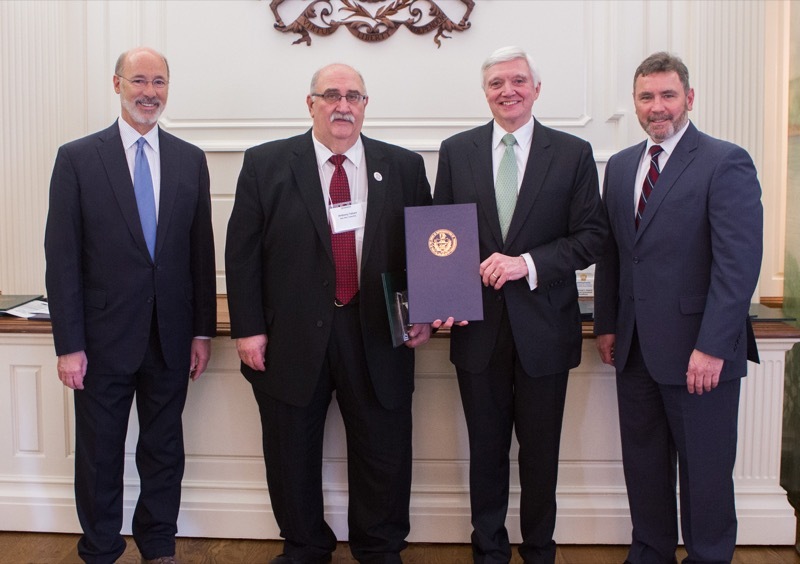 Governor Tom Wolf today recognized municipalities and local government officials for their dedication and commitment to strengthen their communities and better serve their residents. 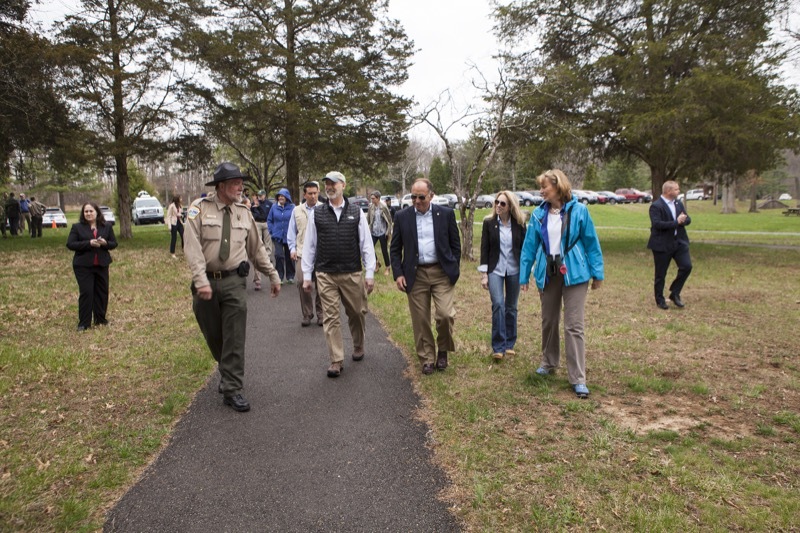 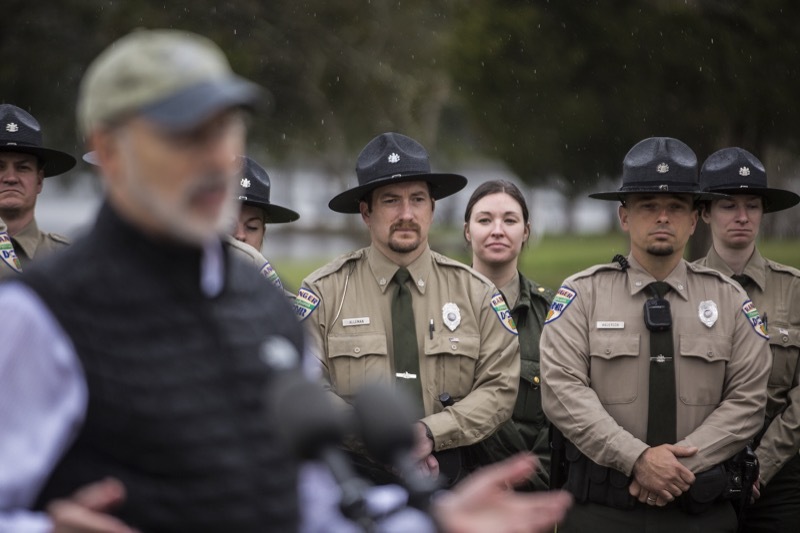 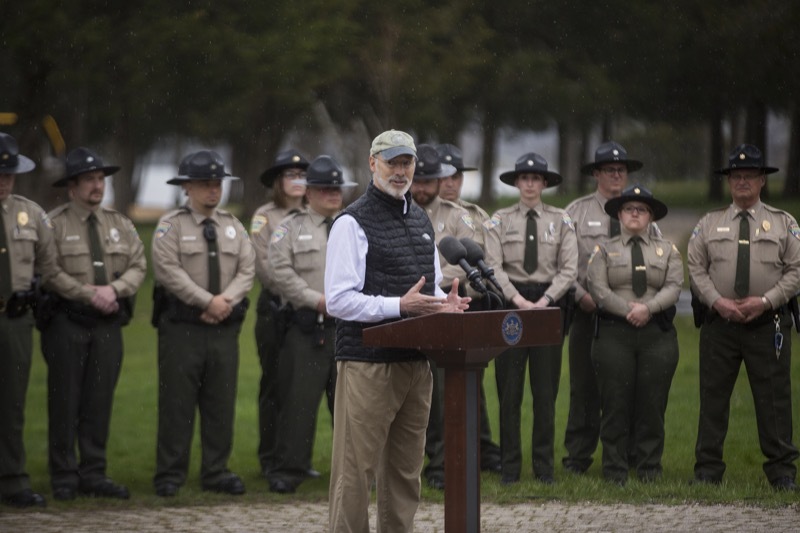 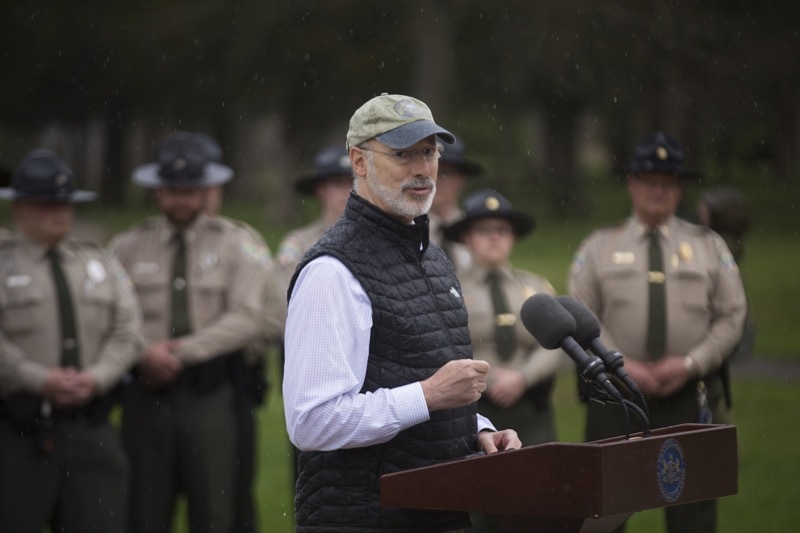 Governor Tom Wolf today announced that the Department of Conservation and Natural Resources is equipping state park and state forest rangers, managers and assistant managers with life-saving naloxone to minimize opioid overdose fatalities, especially in rural settings such as state parks and state forests where police and first responders may not be readily available. 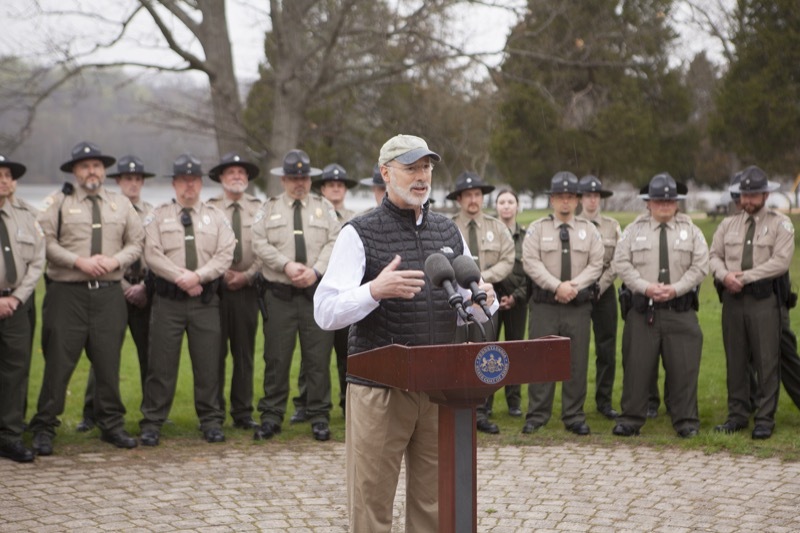 Lewisberry, PA - Governor Tom Wolf today announced that the Department of Conservation and Natural Resources is equipping state park and state forest rangers, managers and assistant managers with life-saving naloxone to minimize opioid overdose fatalities, especially in rural settings such as state parks and state forests where police and first responders may not be readily available. 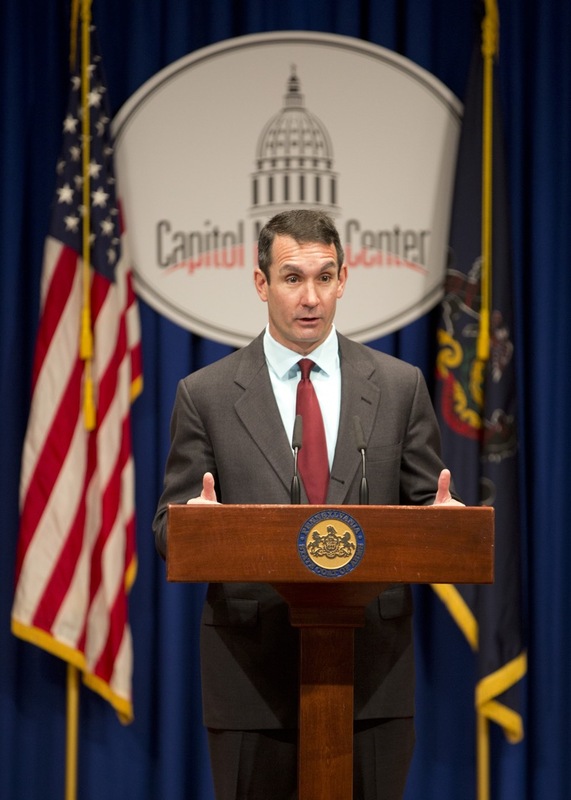 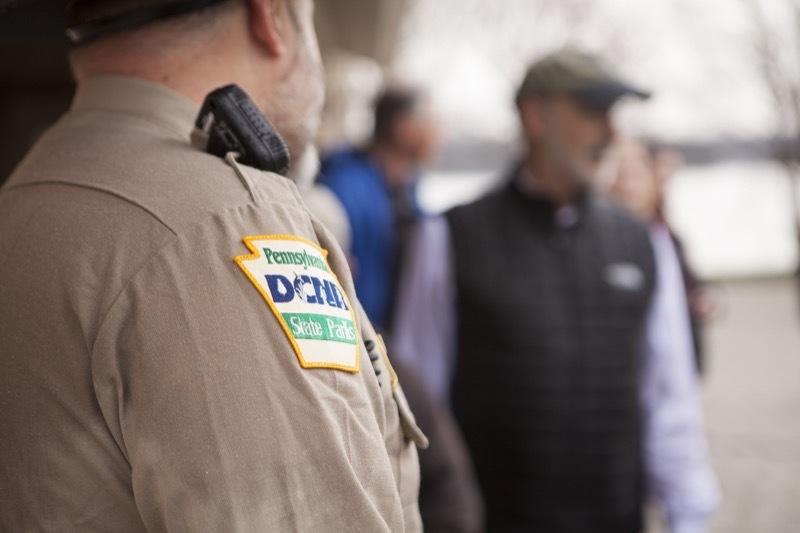 Attorney General Josh Shapiro today announced new criminal charges against a Lackawanna County man for improper storage, disposal and record keeping of hazardous wastes at a Northeast Pennsylvania site where a major fire occurred in 2014. 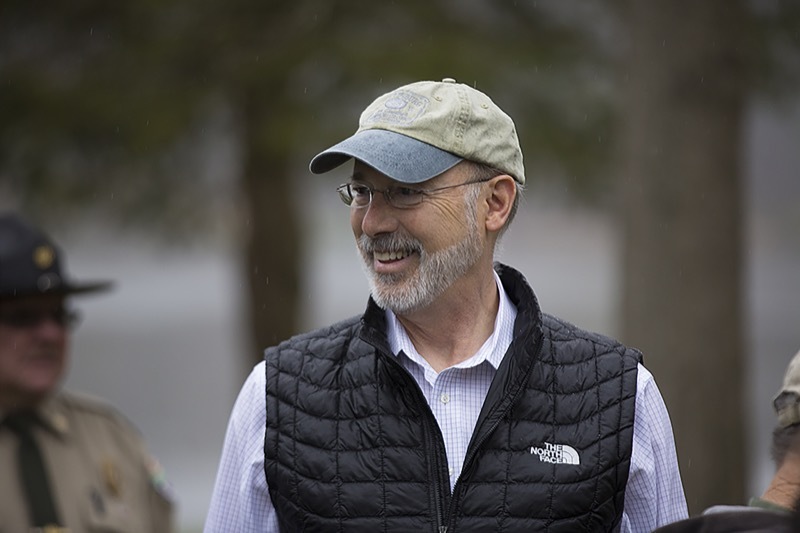 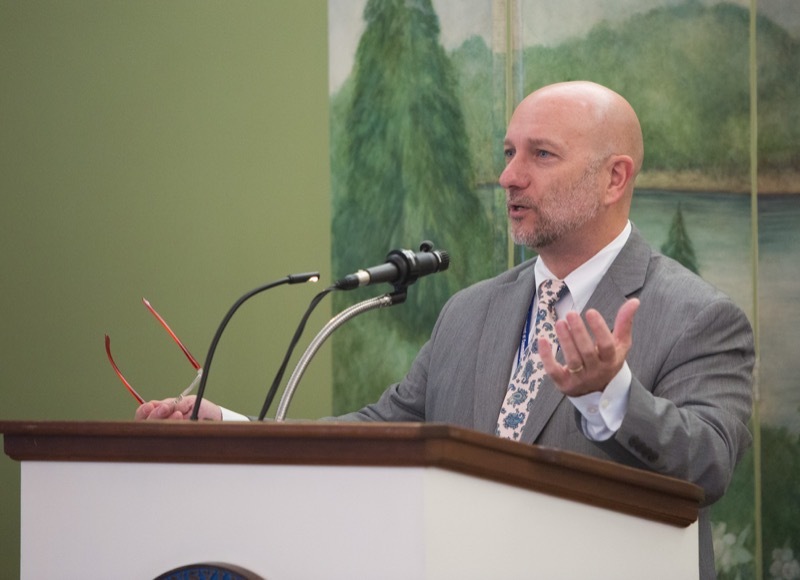 Attorney General Shapiro announced felony charges for environmental crimes are being filed tomorrow against Eric Spatt, 53, former owner of the Scranton Cooperage in Jessup, PA. 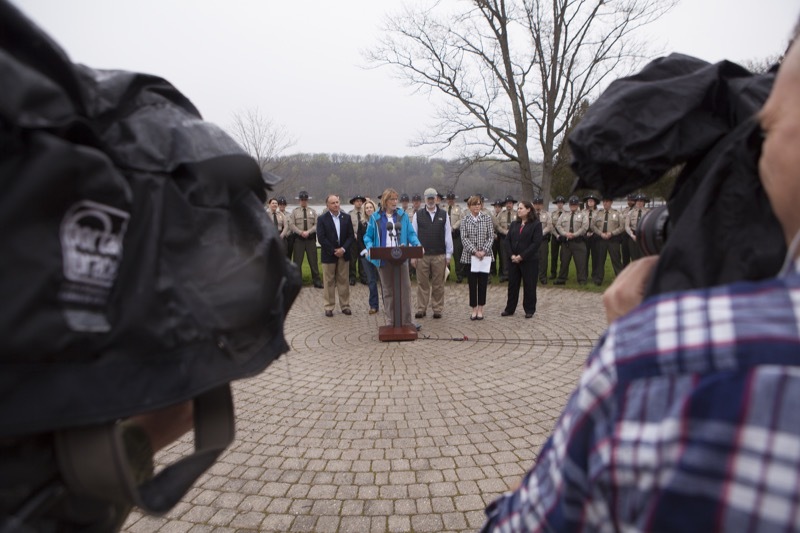 The Attorney General made today's announcement at a news conference in Jessup near where the fire took place. 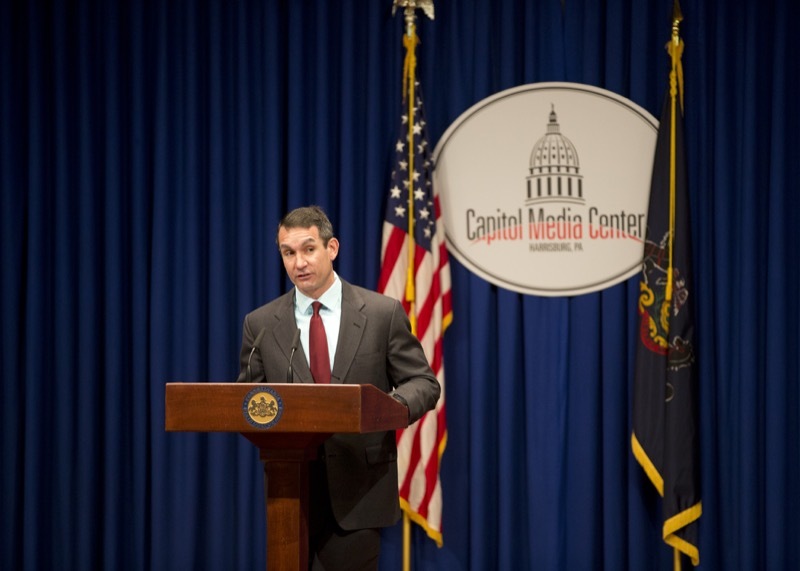 Attorney General Josh Shapiro today announced criminal charges against 15 people for their roles in a drug pipeline that distributed and sold 15,000 bricks of heroin in York and Blair counties over a two-year period. 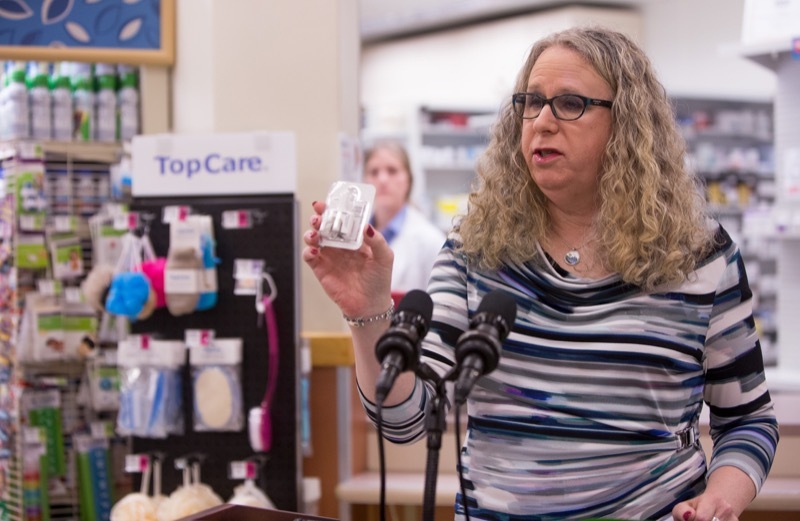 The heroin sold for approximately $5 million. 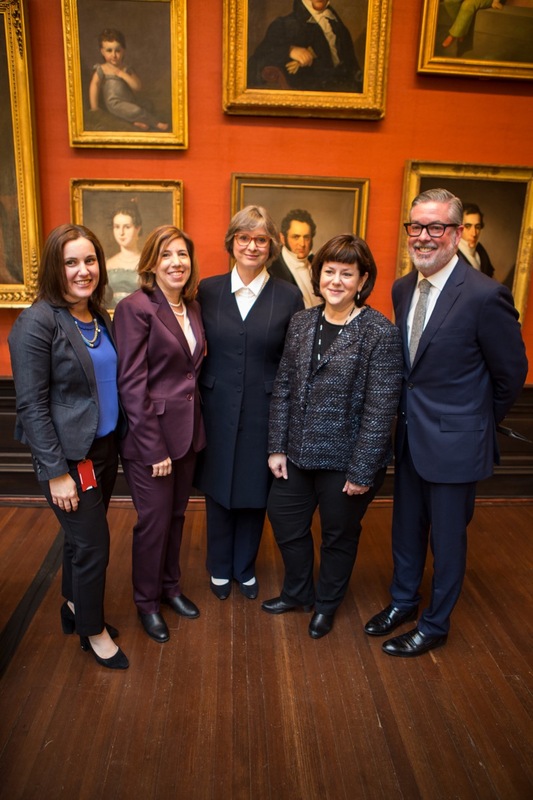 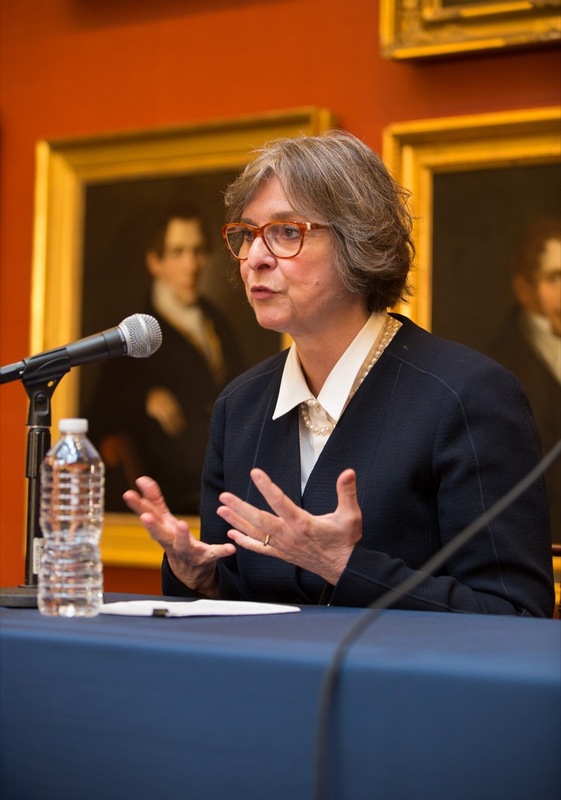 Philadelphia, PA - First Lady Frances Wolf, Pennsylvania Department of Transportation Secretary Leslie S. Richards and Philadelphia International Airport CEO Rochelle 'Chellie' Cameron today spoke to more than 100 high-school and college students as well as regional professionals on the importance of women in public service and transportation. 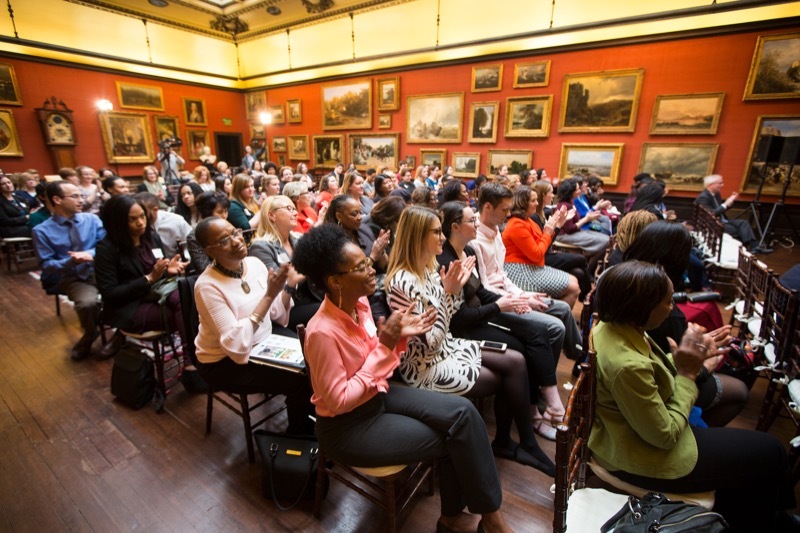 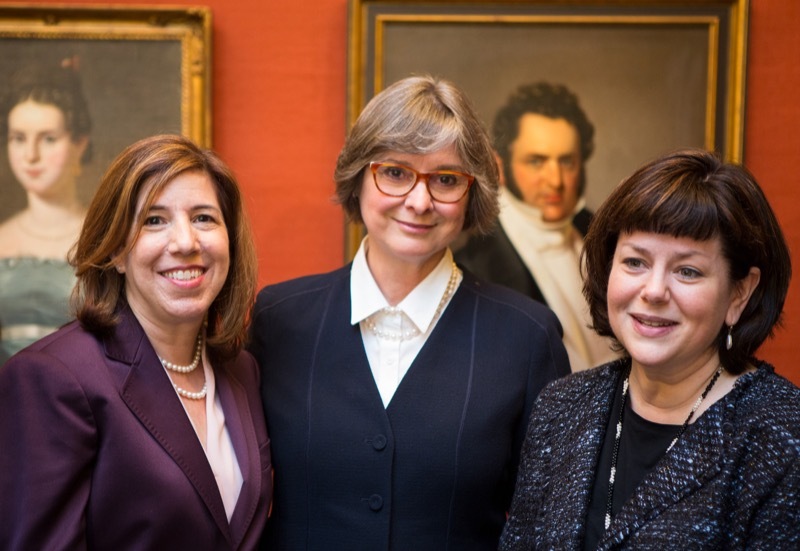 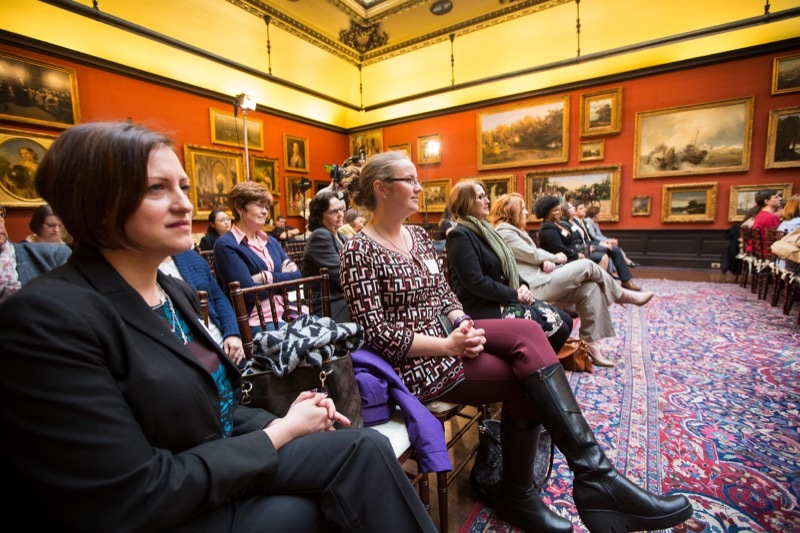 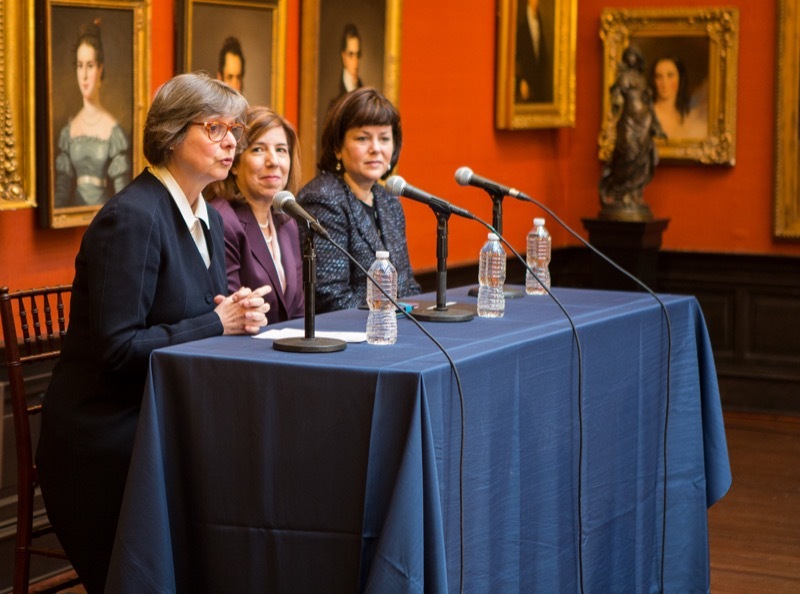 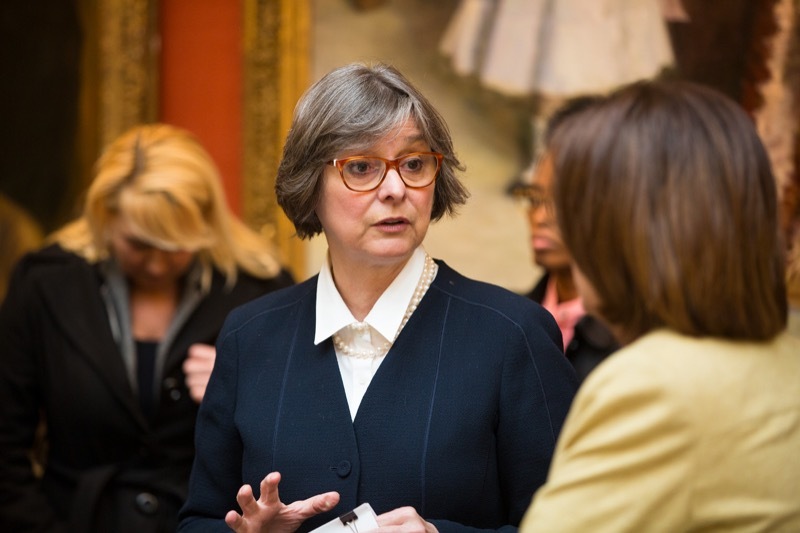 First Lady Frances Wolf, Pennsylvania Department of Transportation Secretary Leslie S. Richards and Philadelphia International Airport CEO Rochelle 'Chellie' Cameron today spoke to more than 100 high-school and college students as well as regional professionals on the importance of women in public service and transportation.